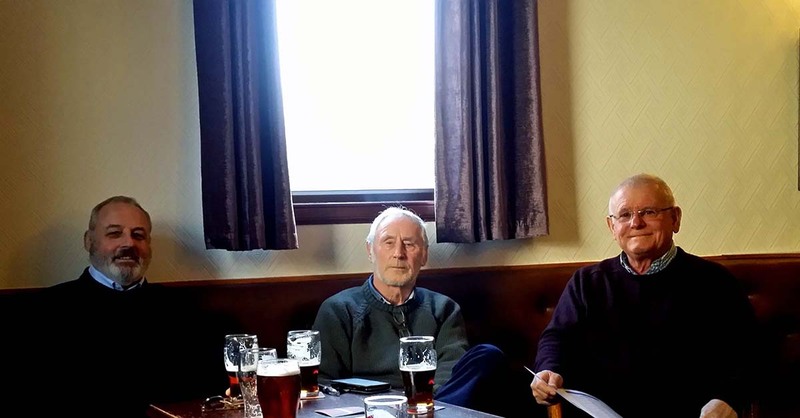 Photo supplied by Bob Sherriff. 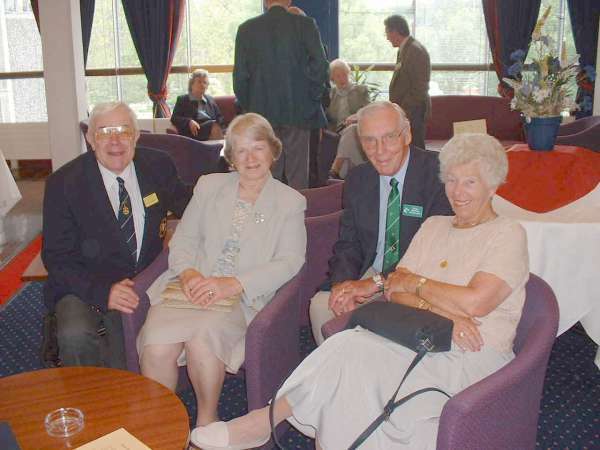 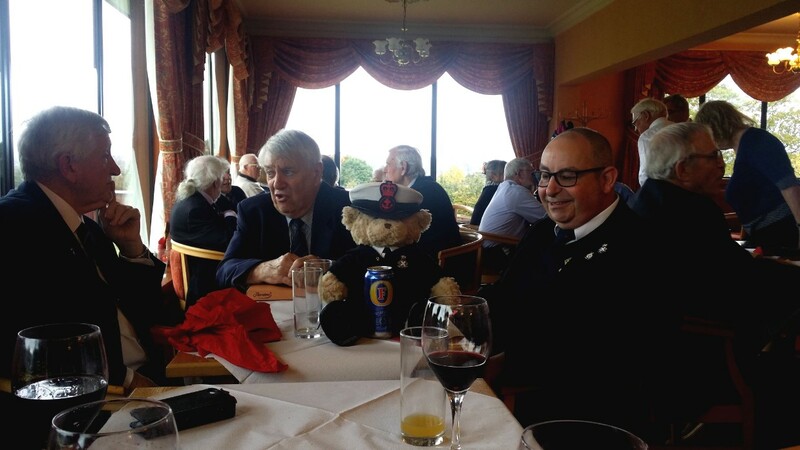 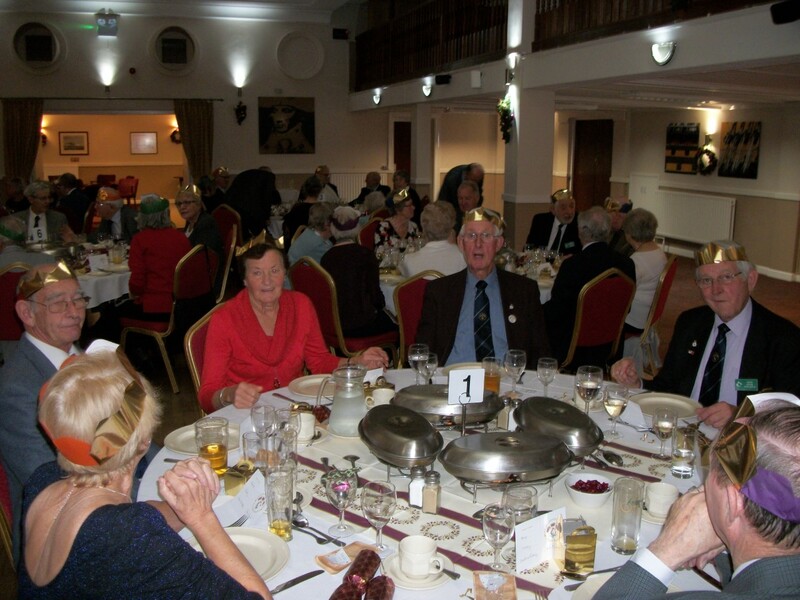 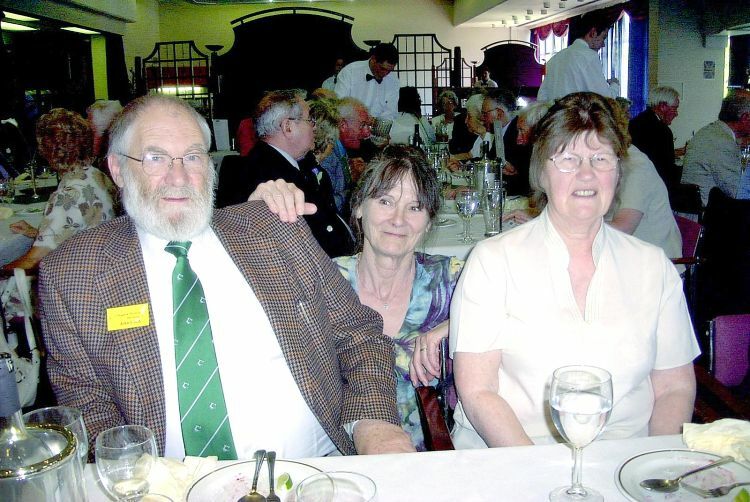 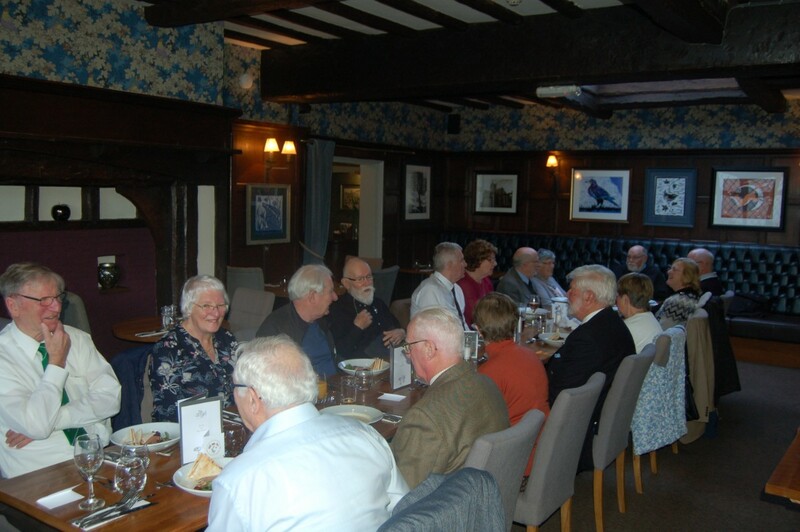 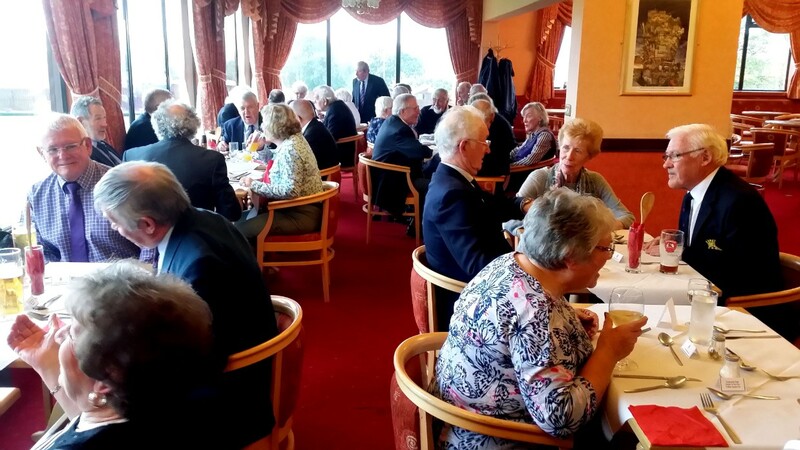 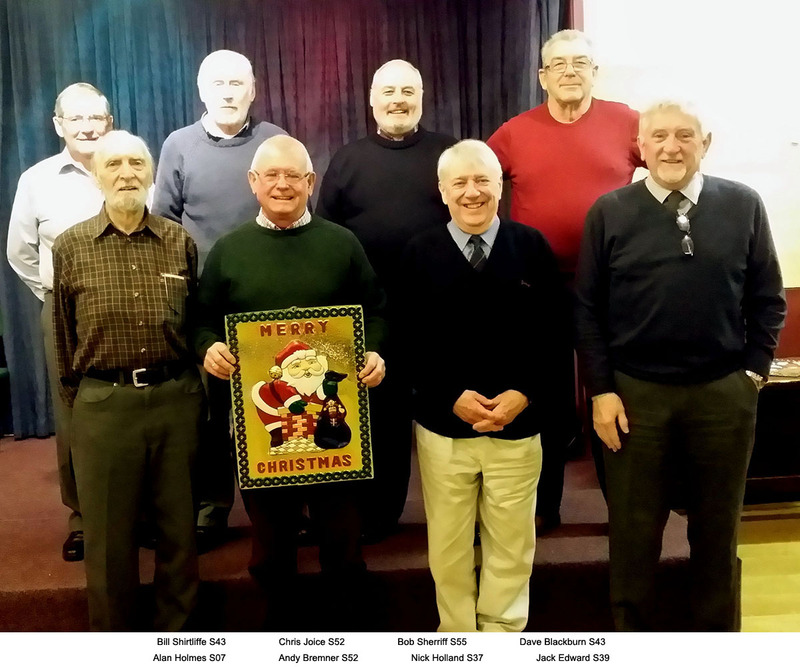 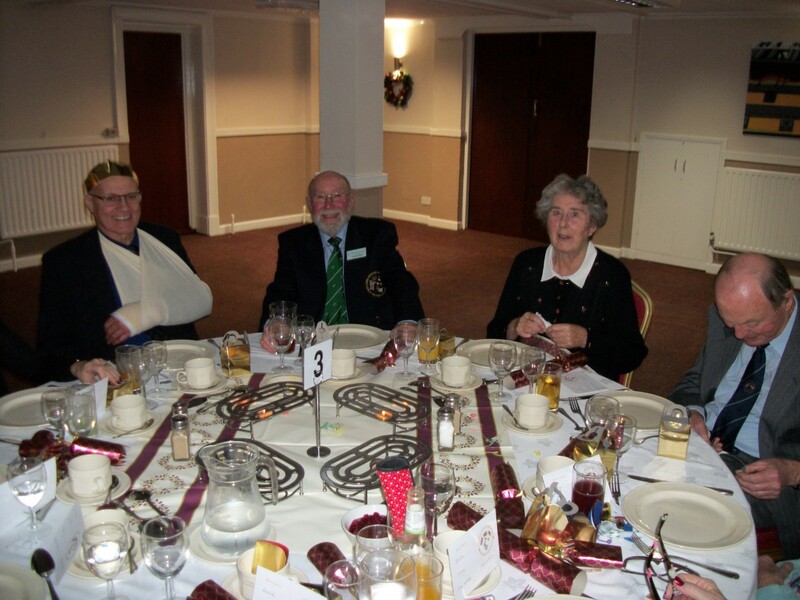 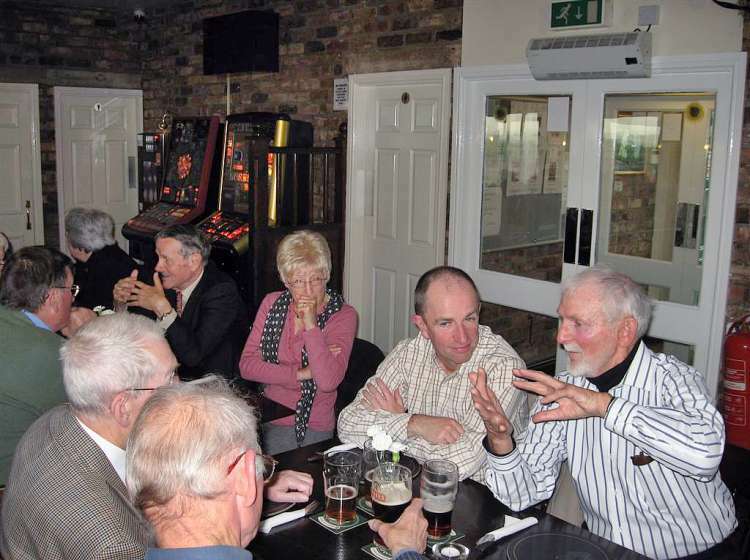 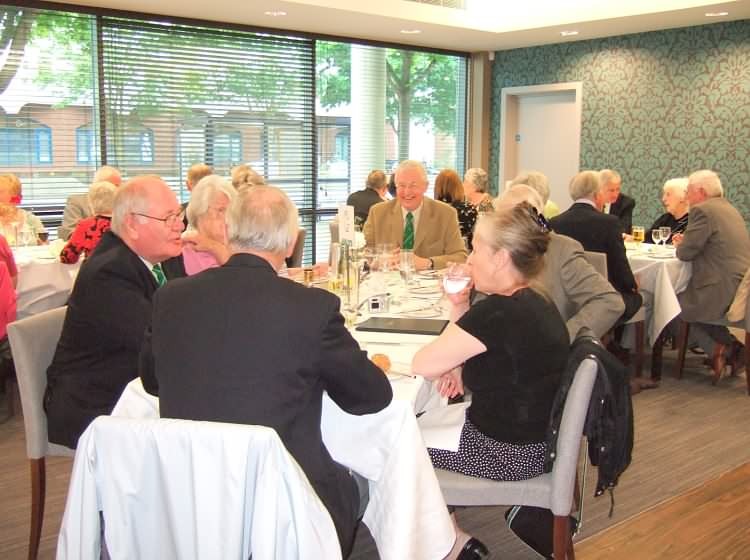 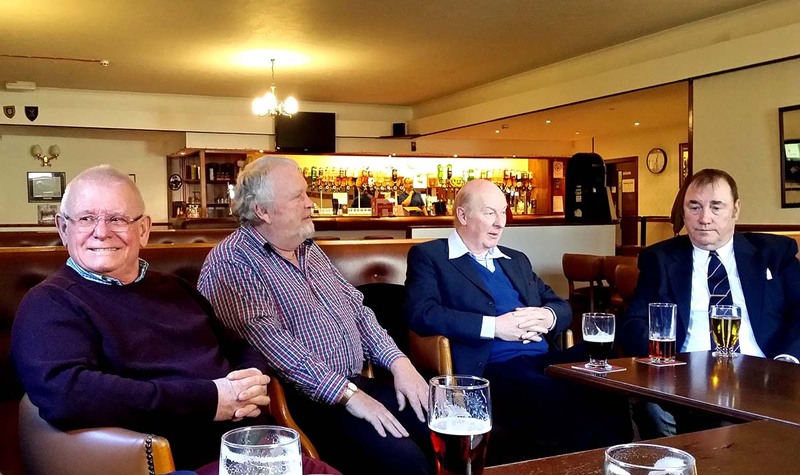 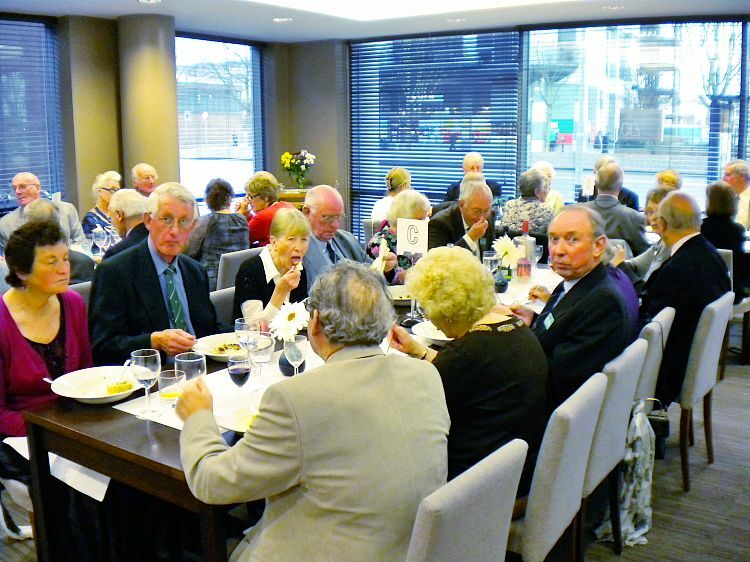 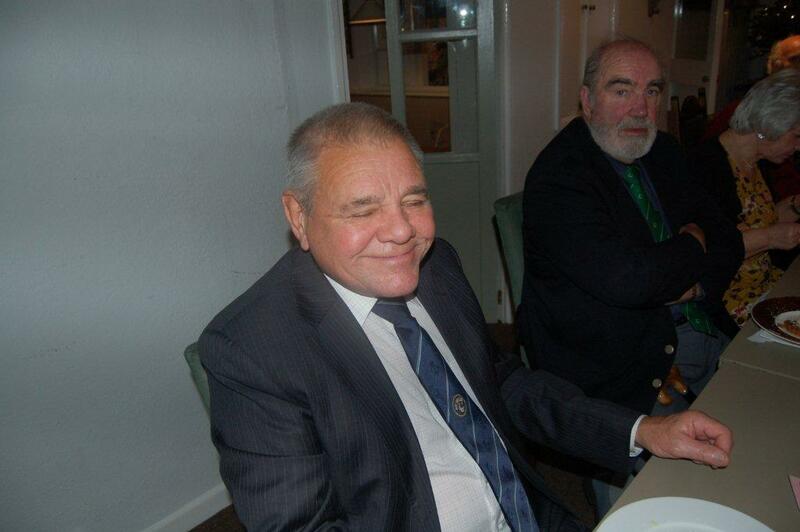 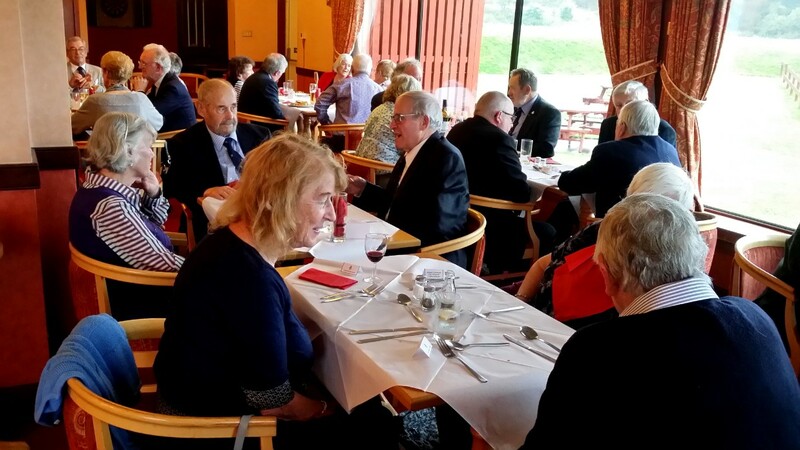 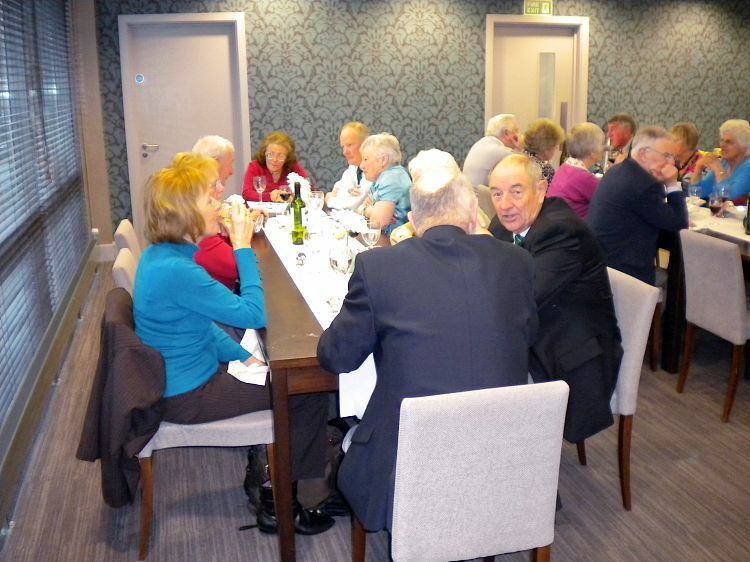 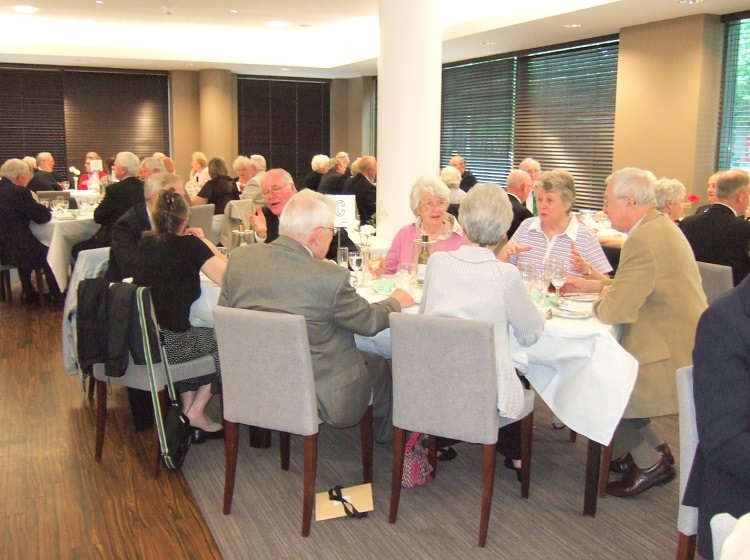 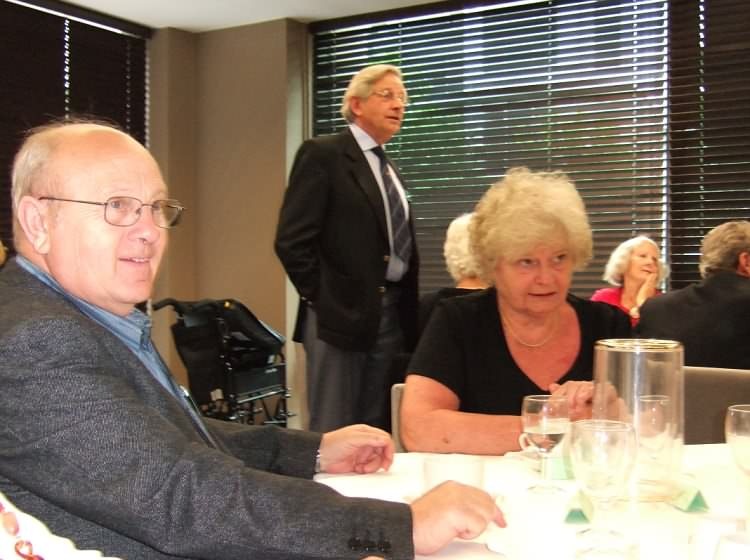 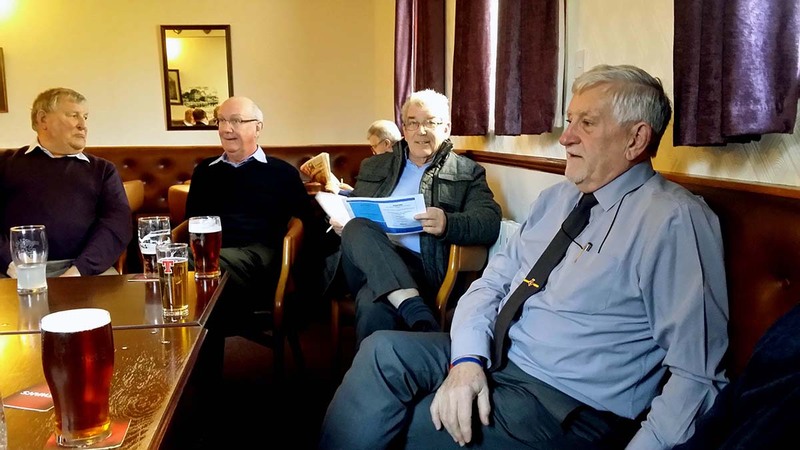 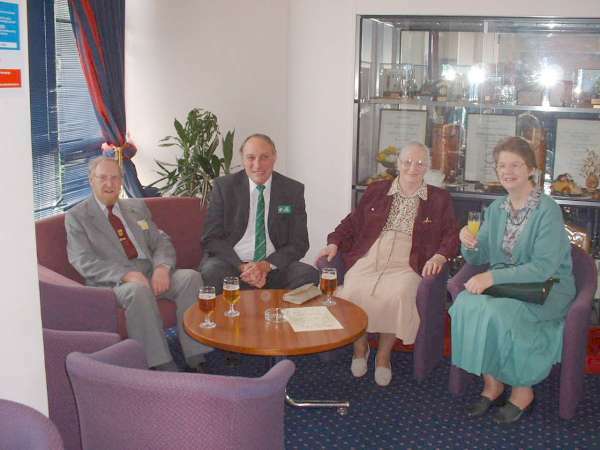 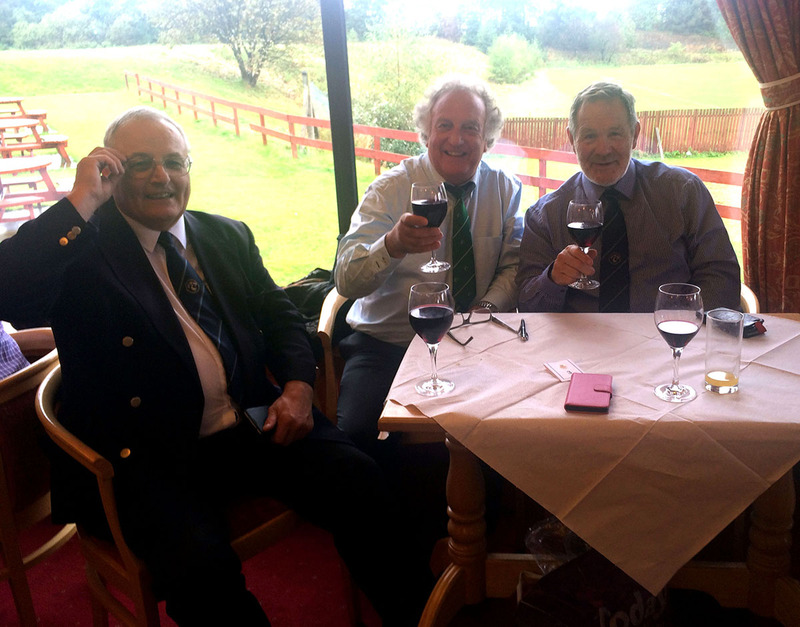 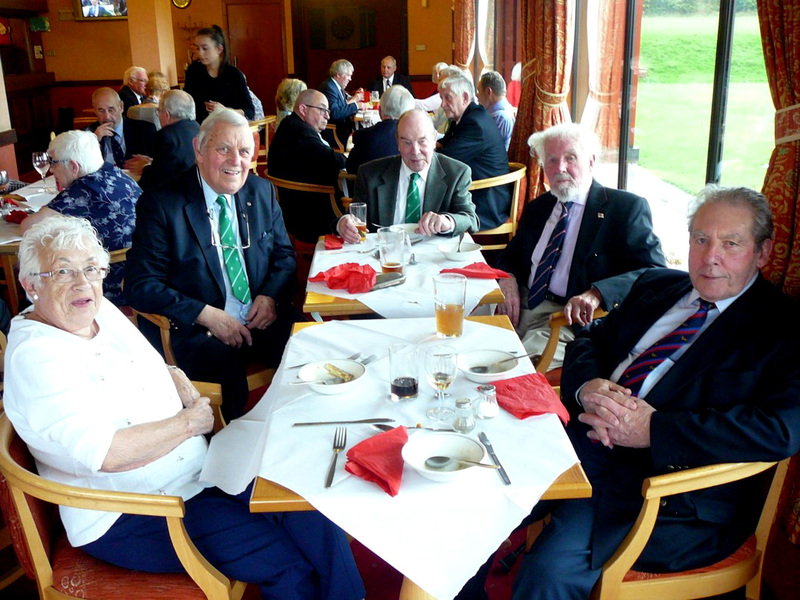 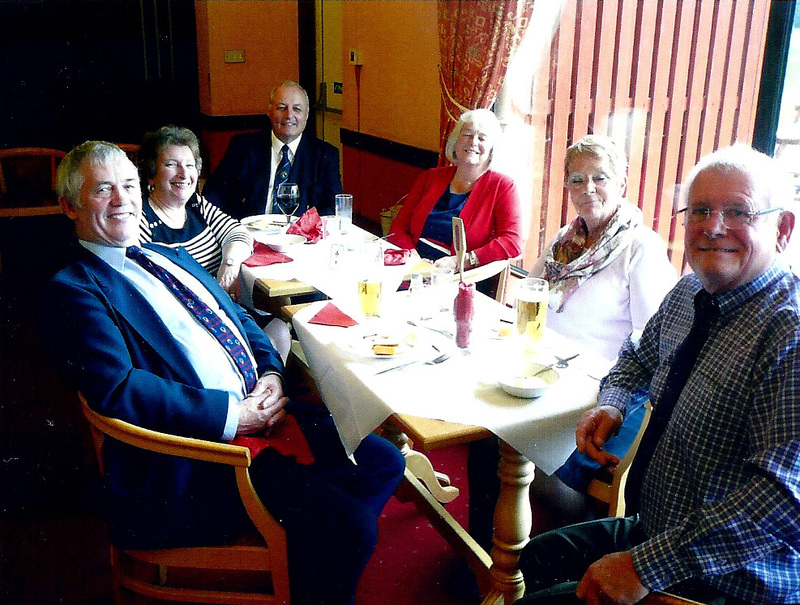 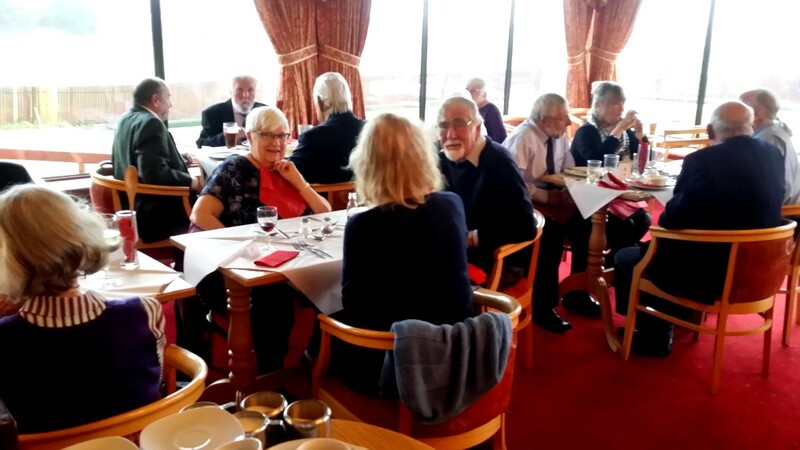 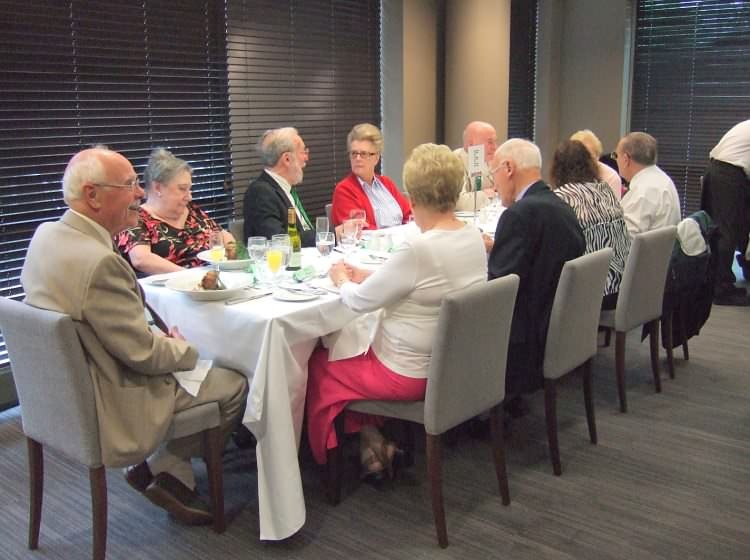 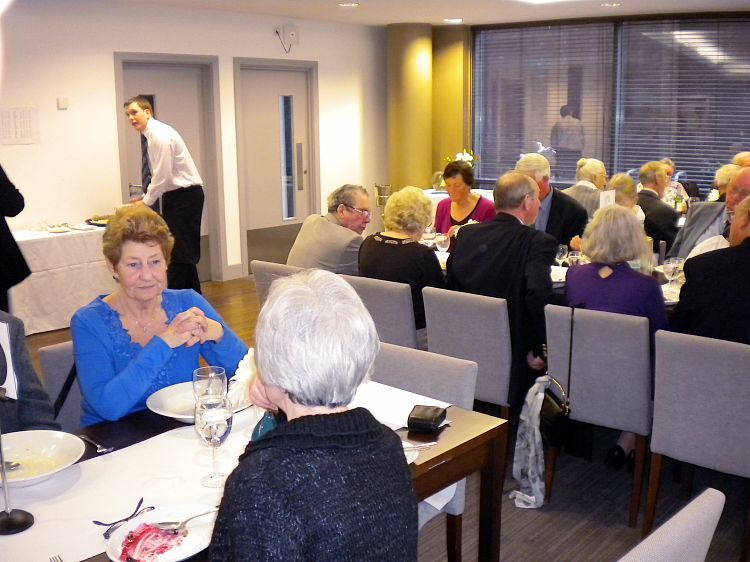 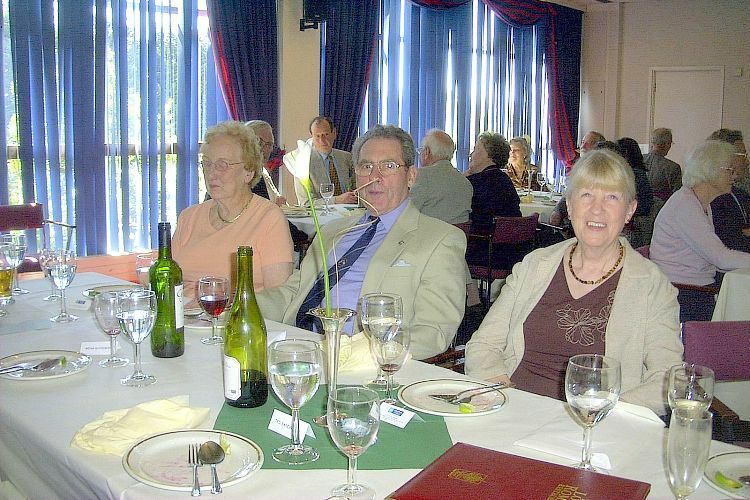 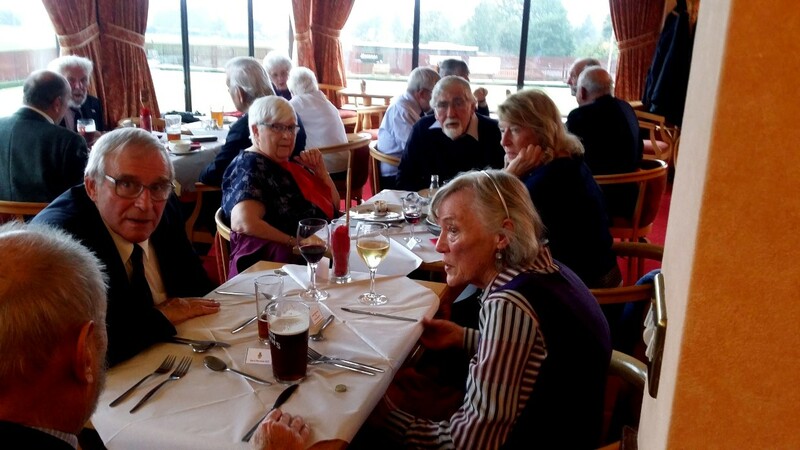 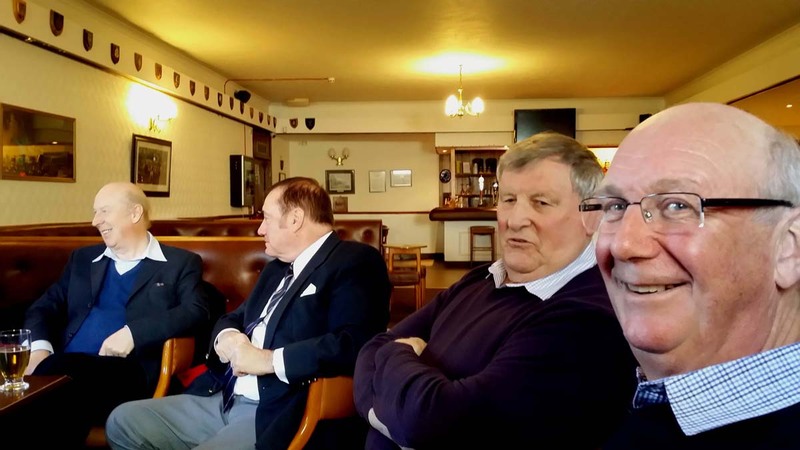 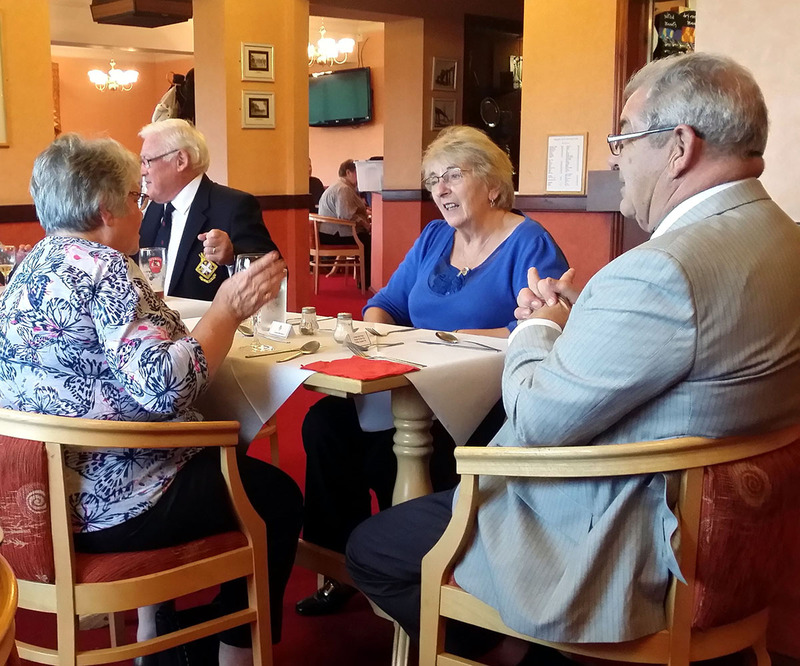 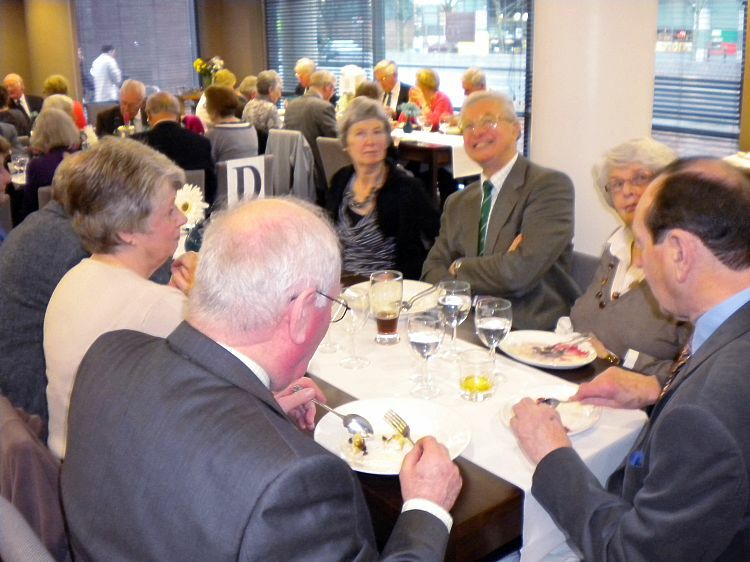 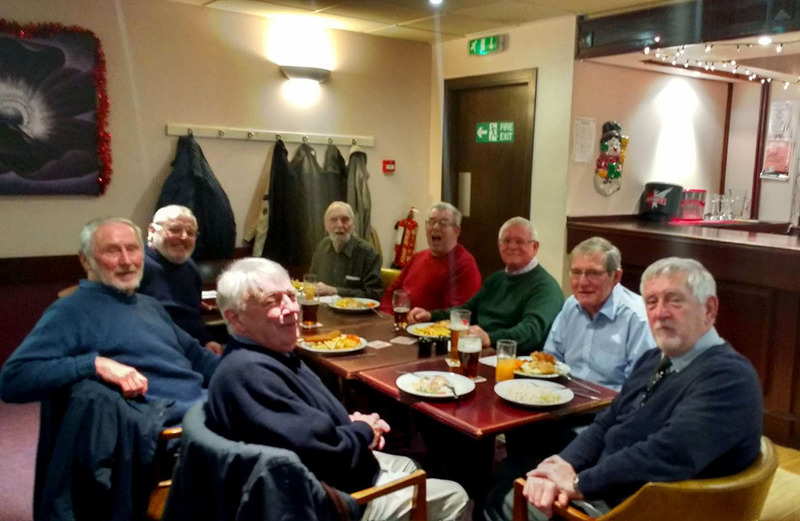 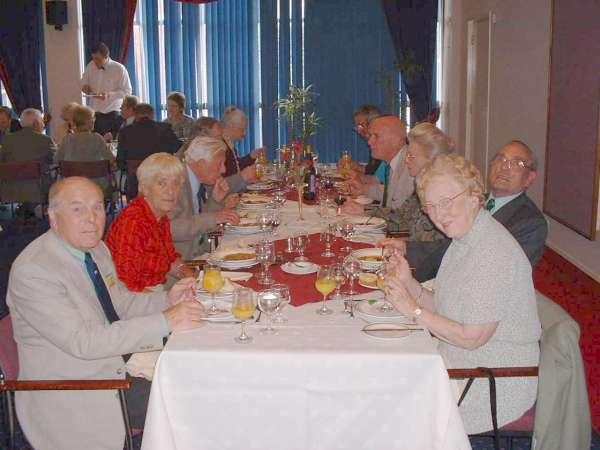 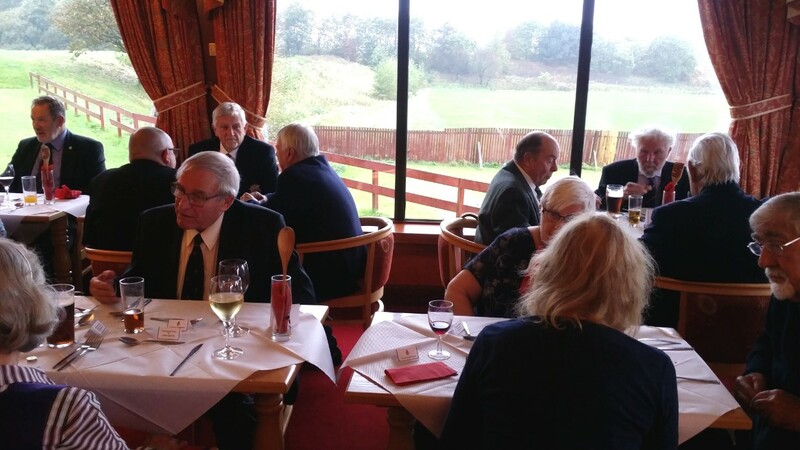 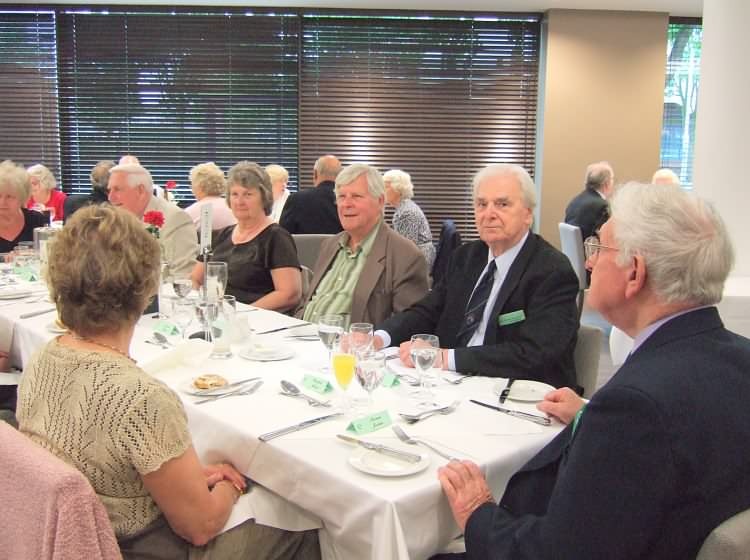 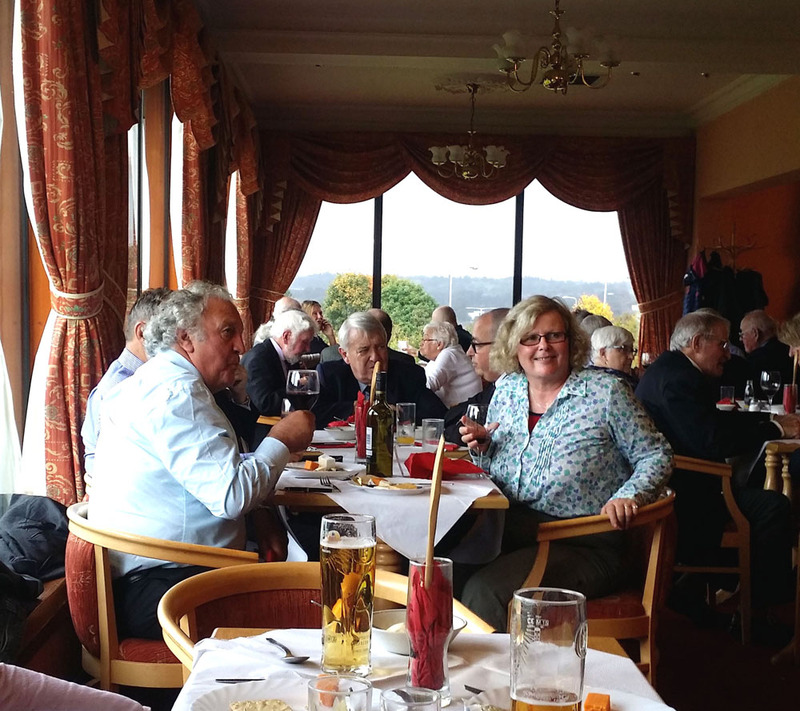 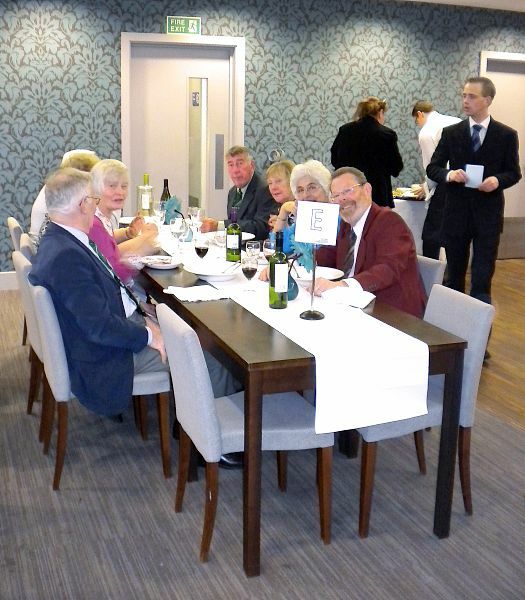 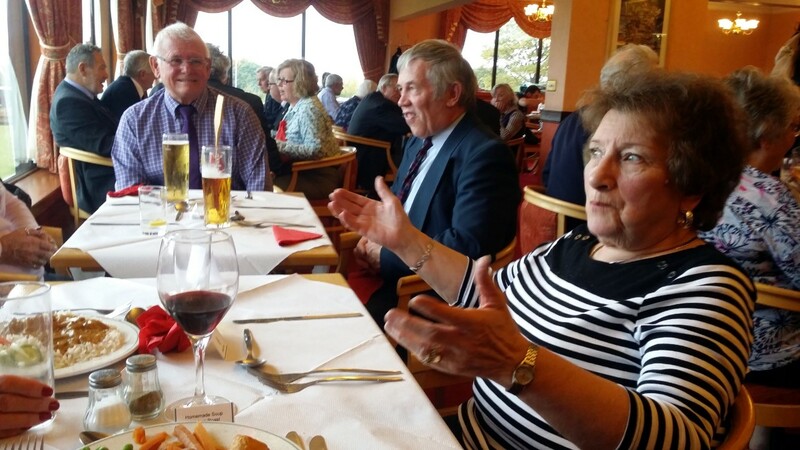 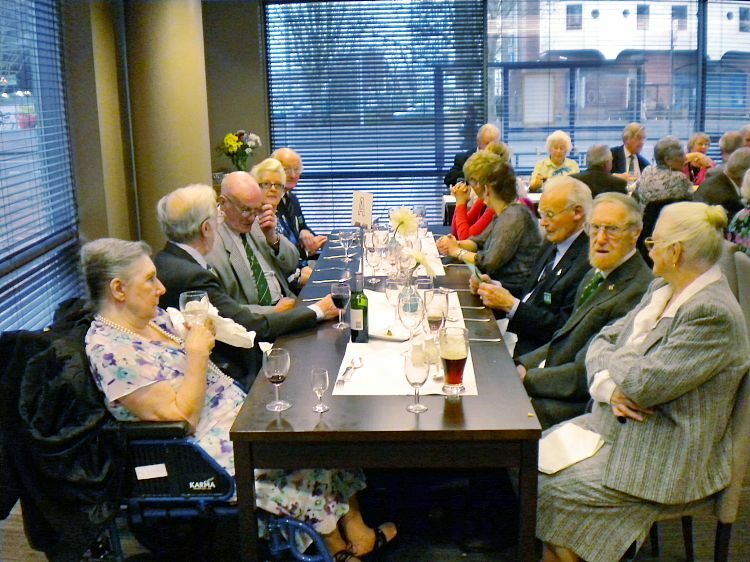 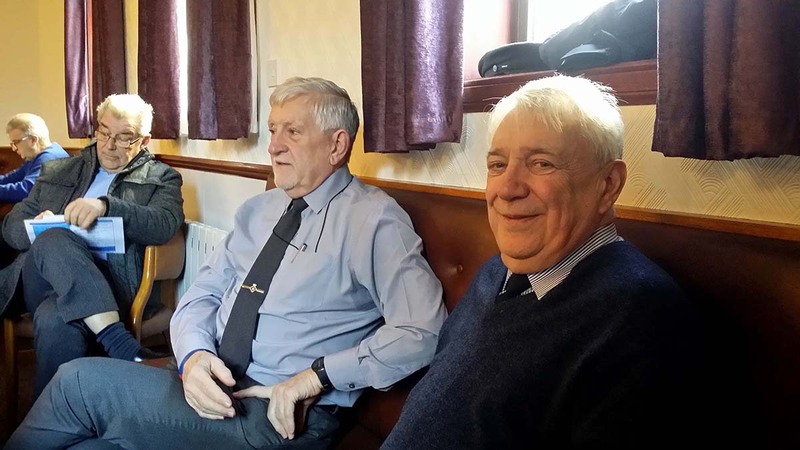 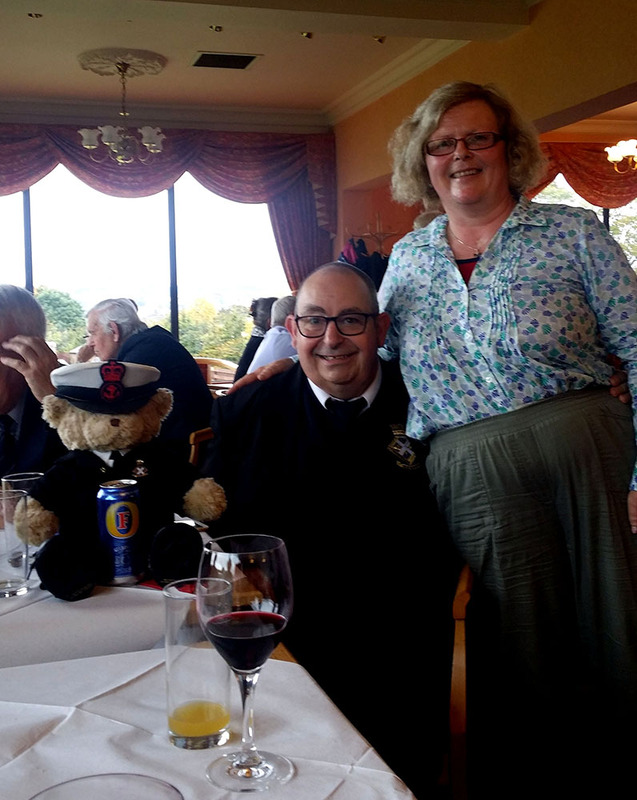 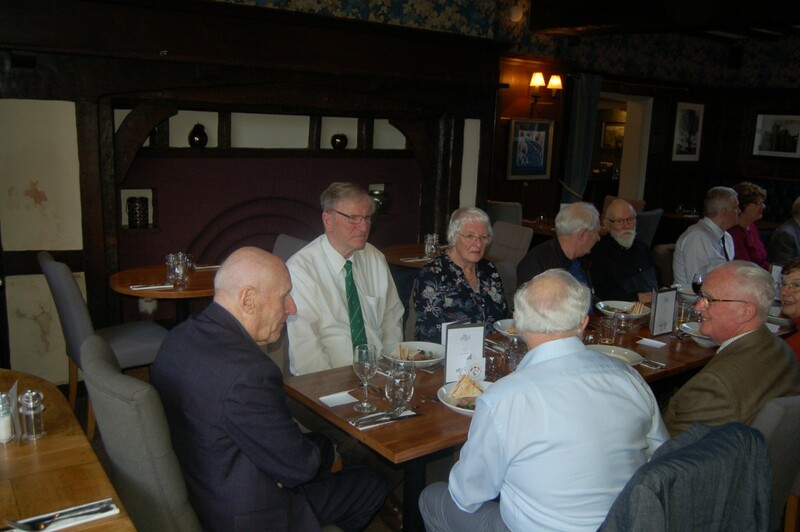 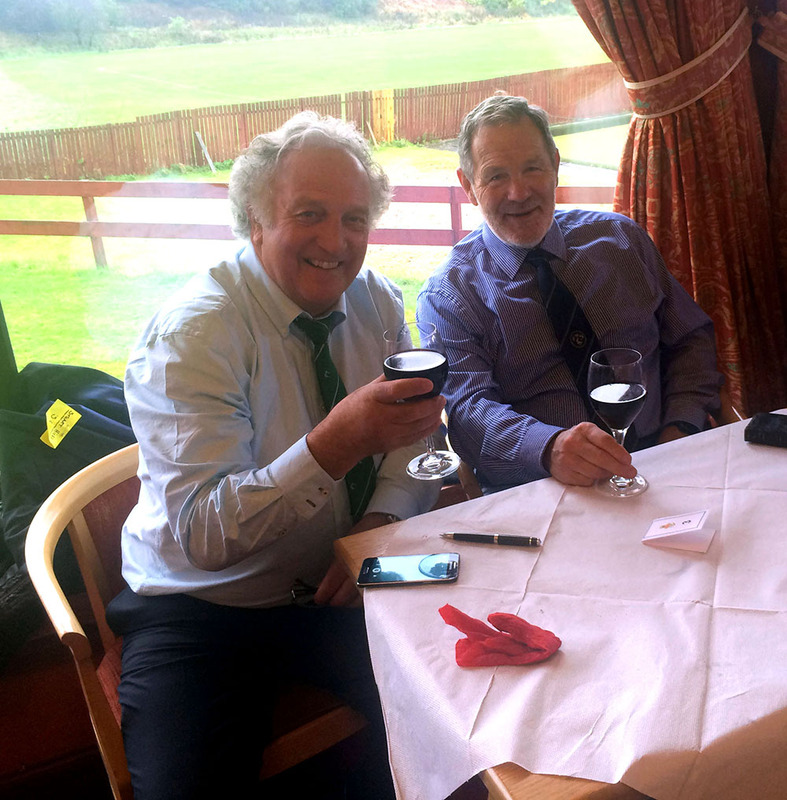 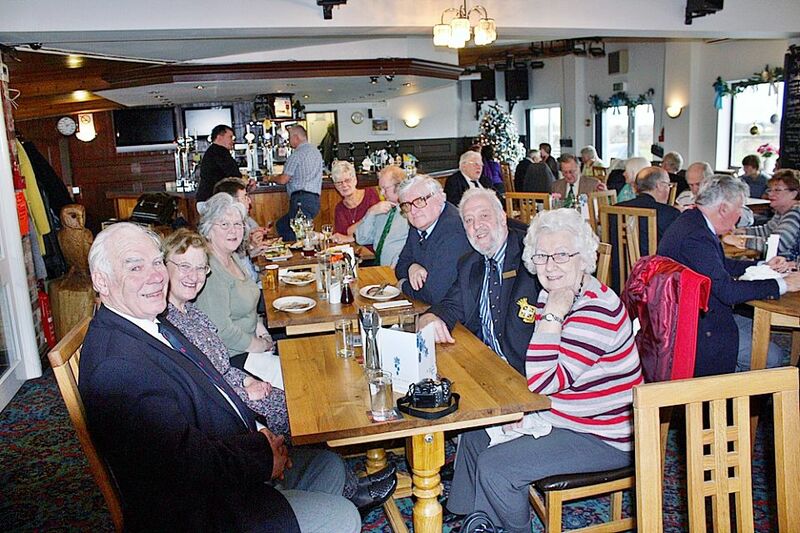 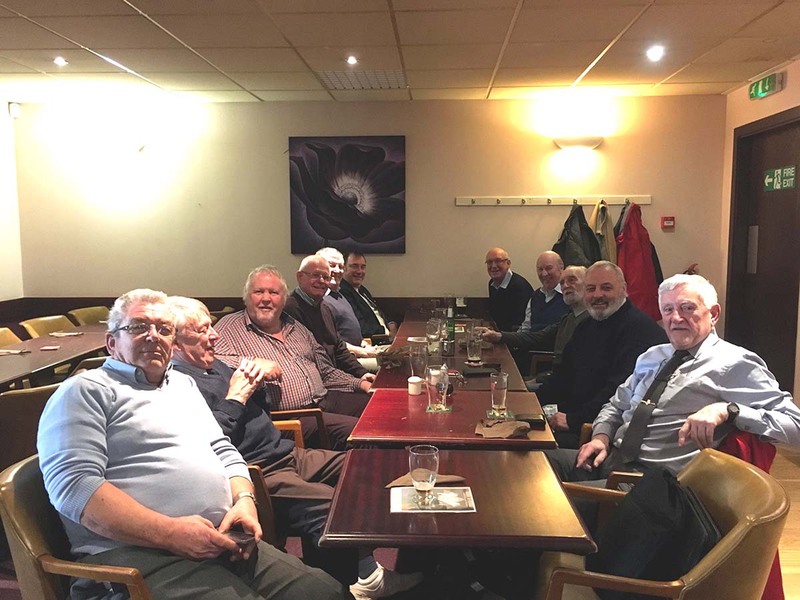 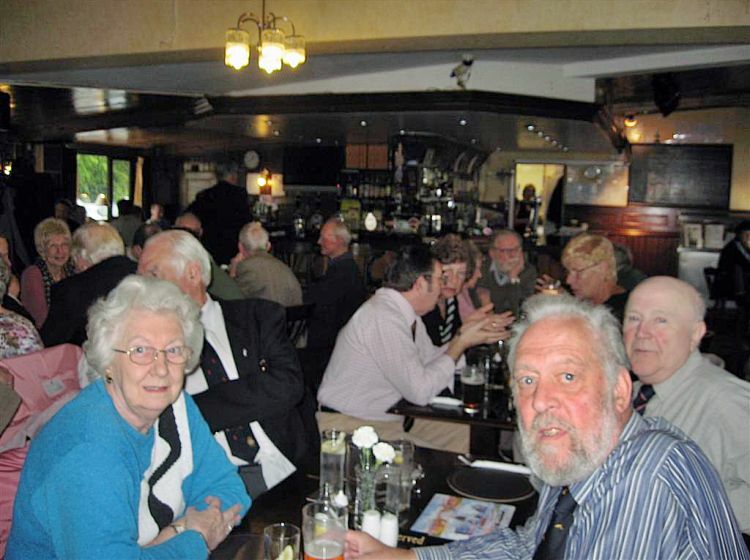 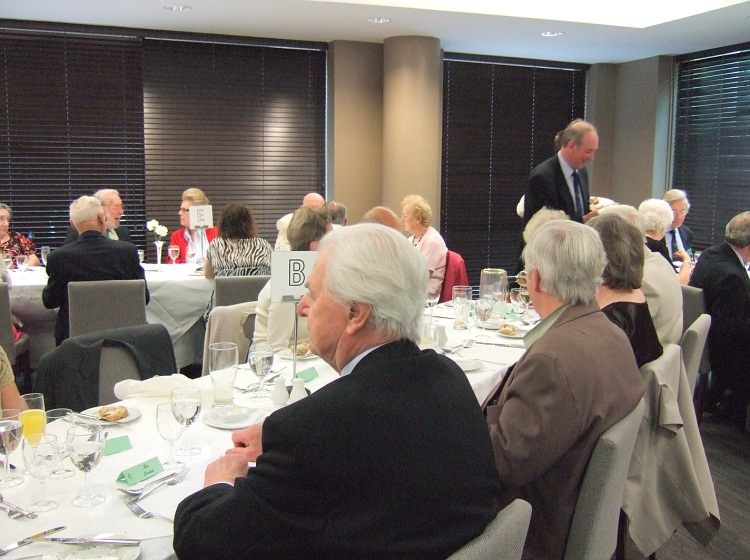 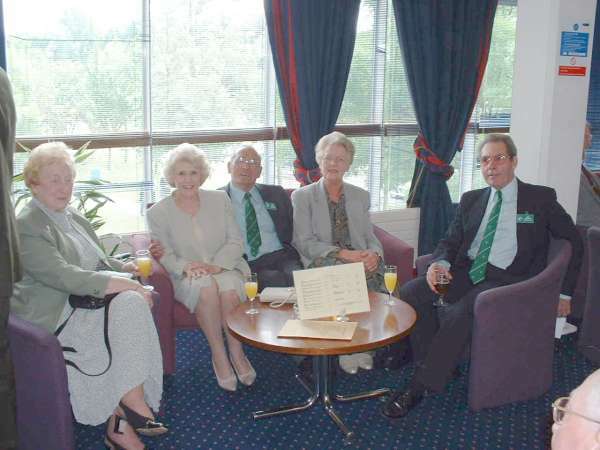 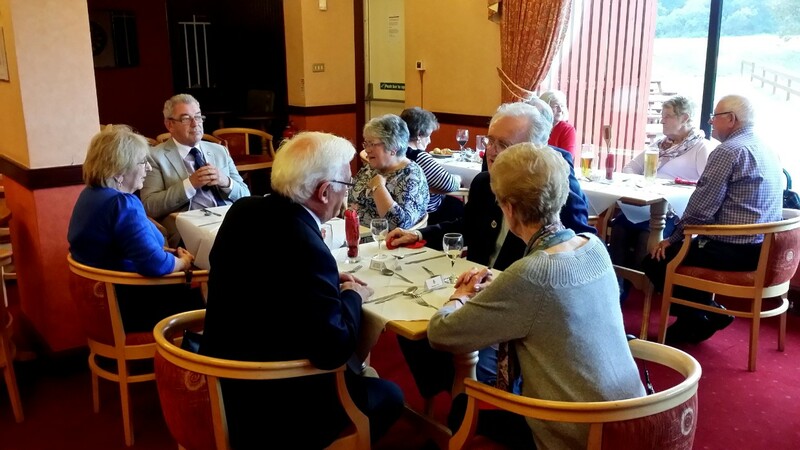 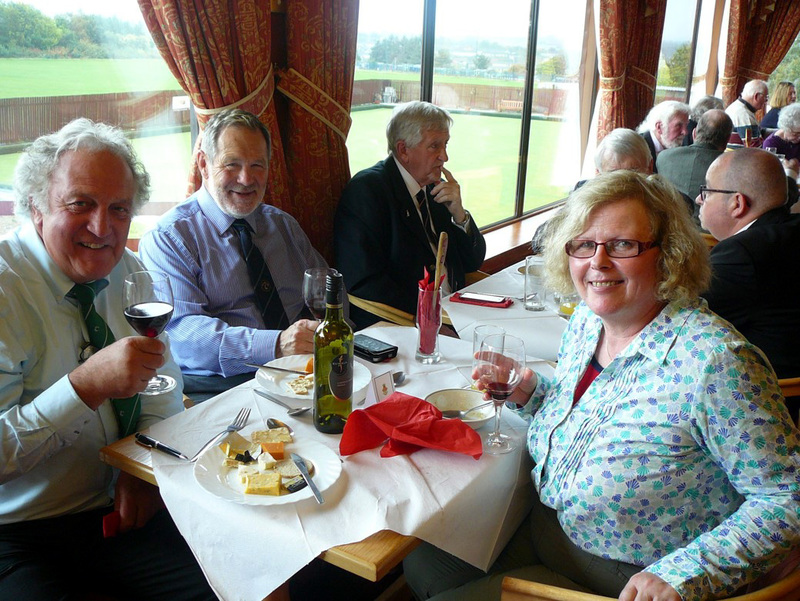 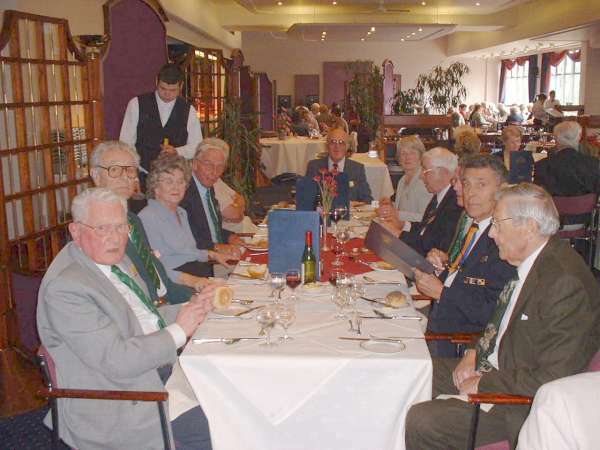 Autumn Reunion & Luncheon at Rosyth Civil Service Club. 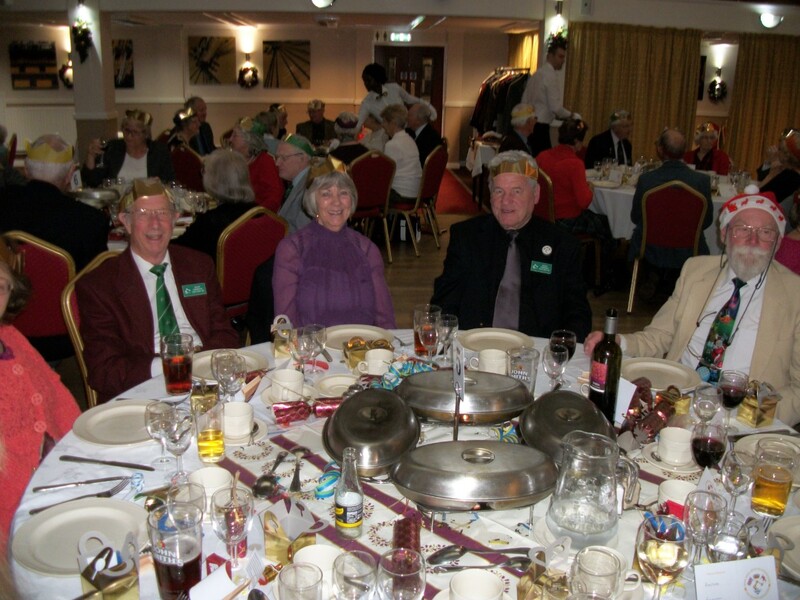 Photos supplied by Bob Sherriff & Bryan Rayner. 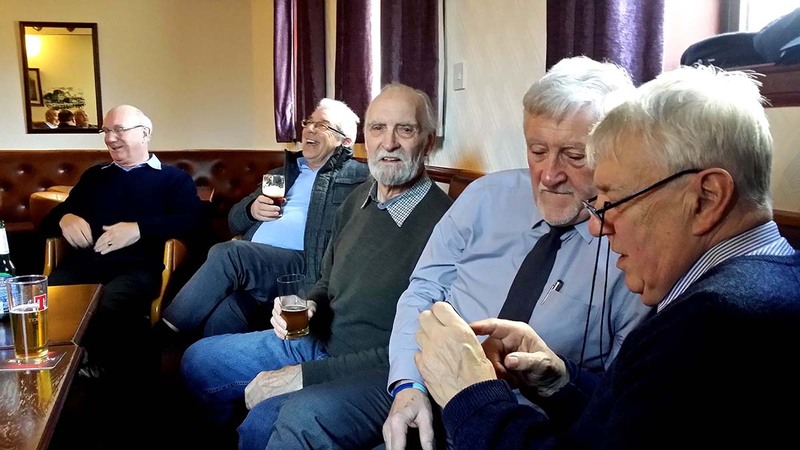 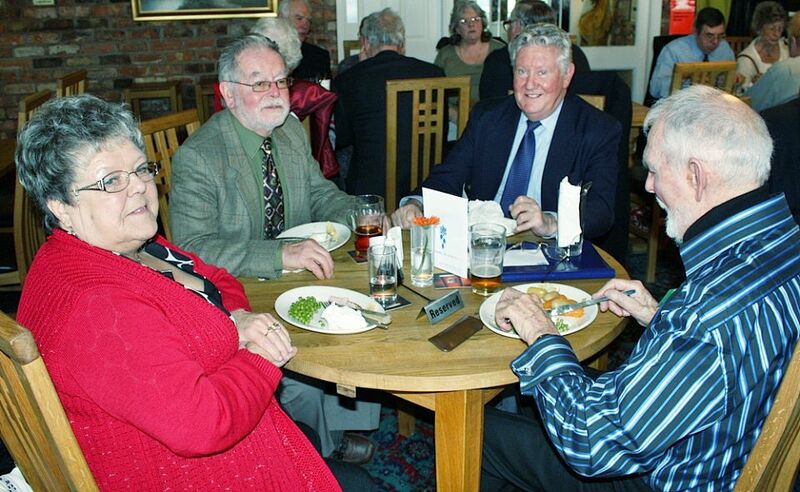 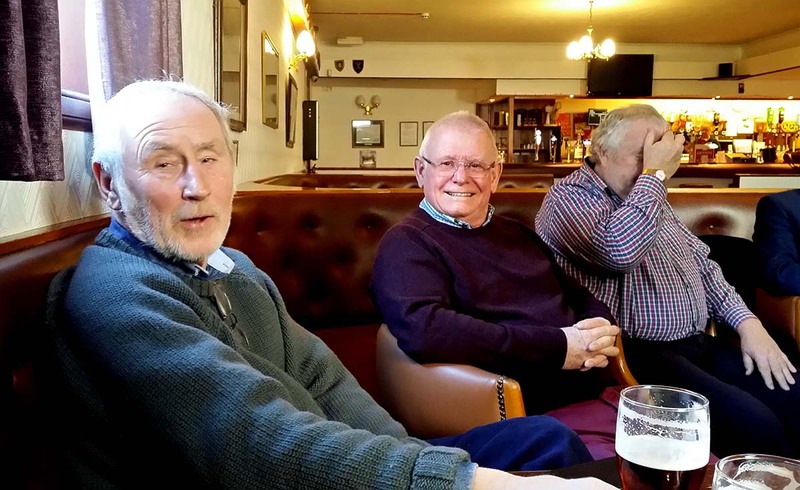 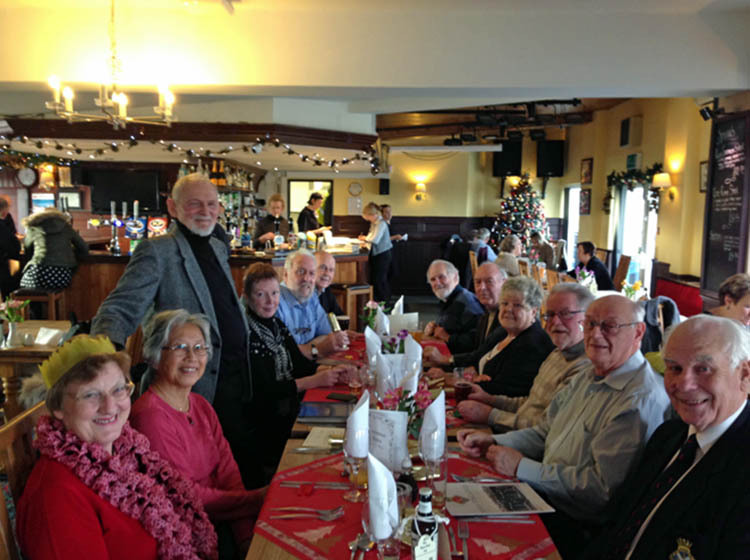 Pre-Christmas Pie & Pint Lunch at Perth Ex-Servicemens Club. 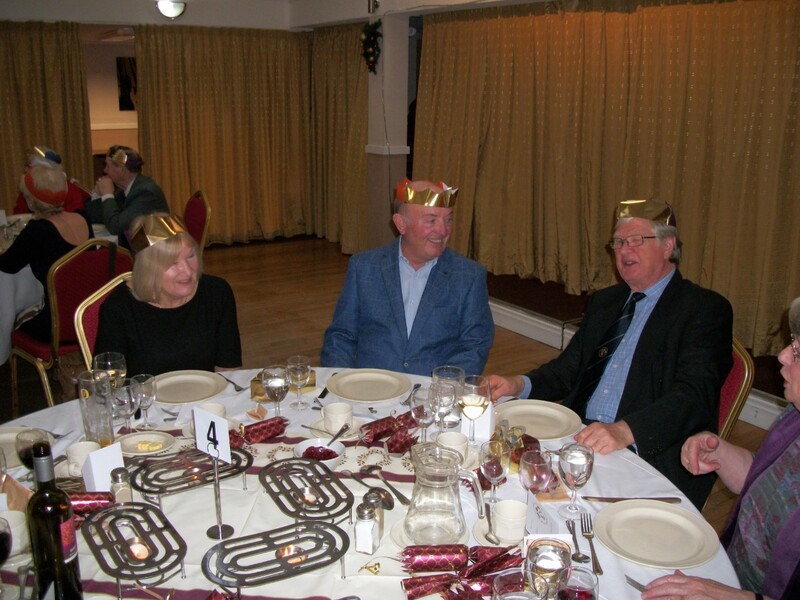 Photos supplied by Bob Sherriff. 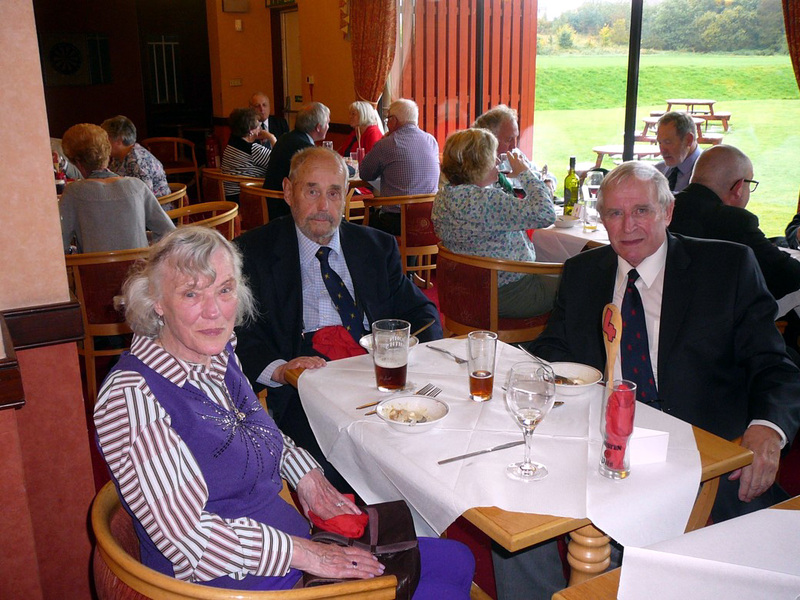 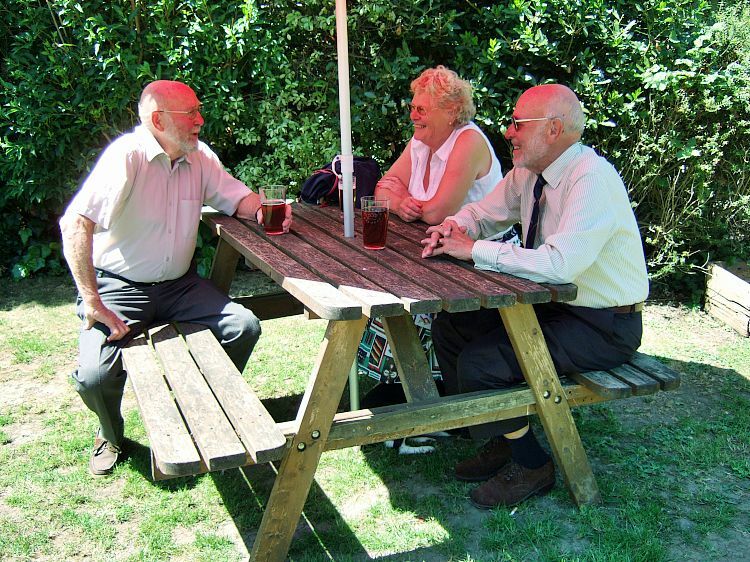 Pie & Pint Lunch at Perth Ex-Servicemens Club. 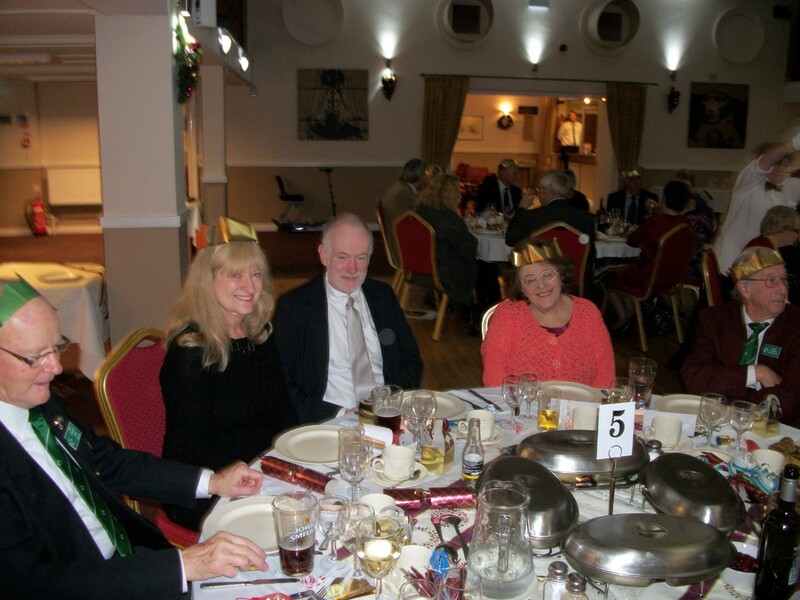 Photos supplied by Bob Sherriff. 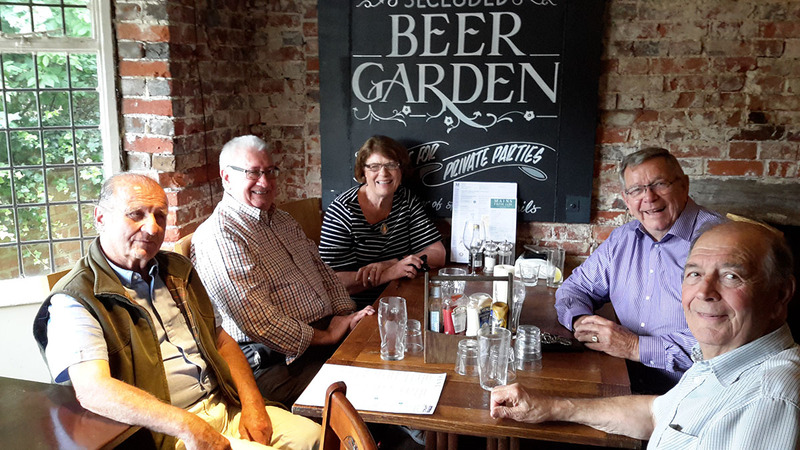 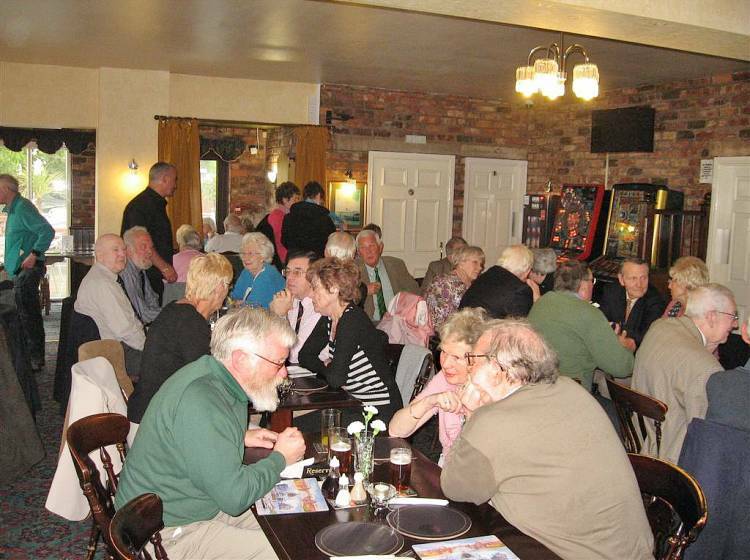 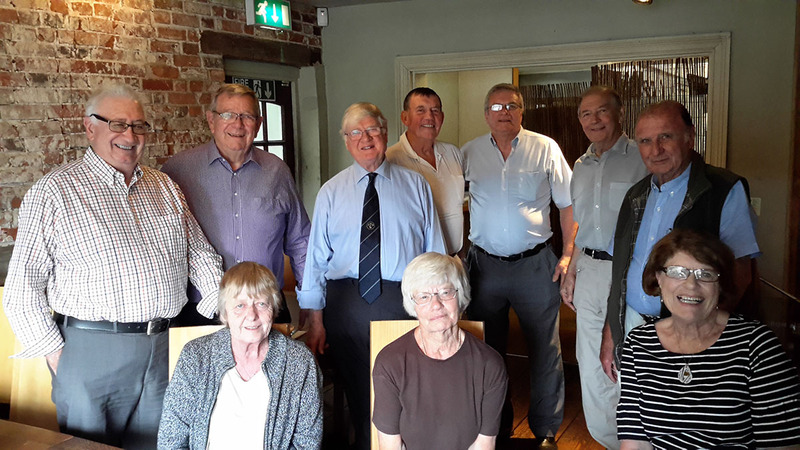 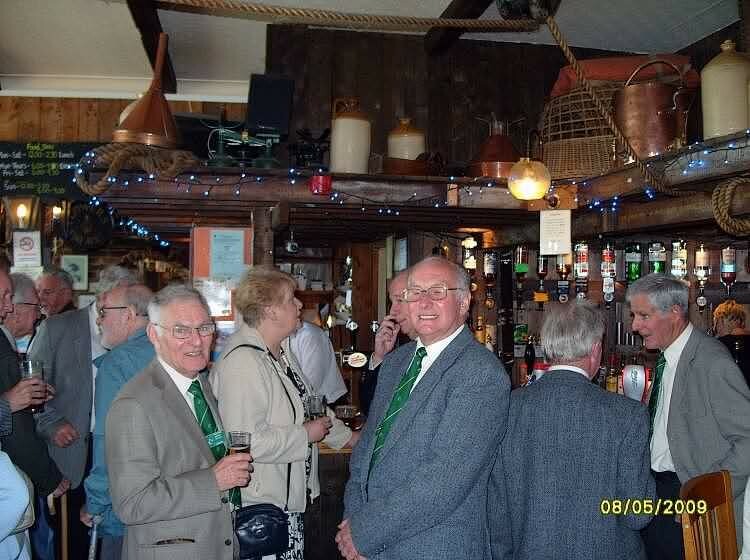 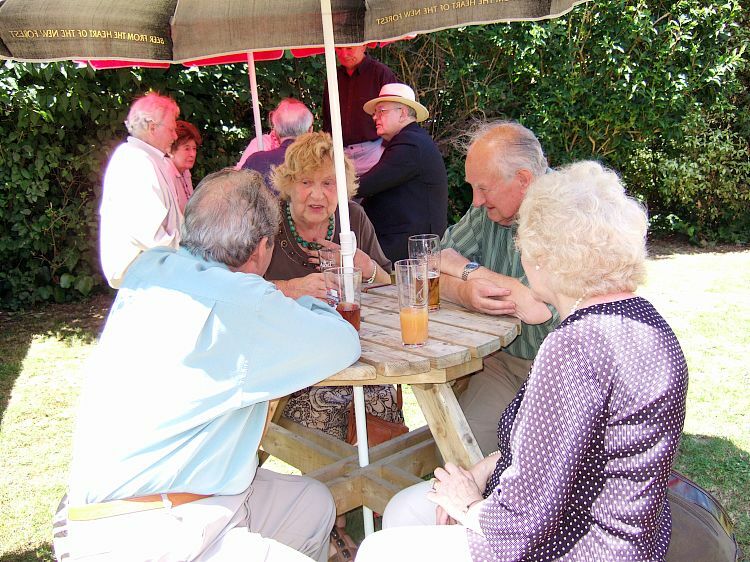 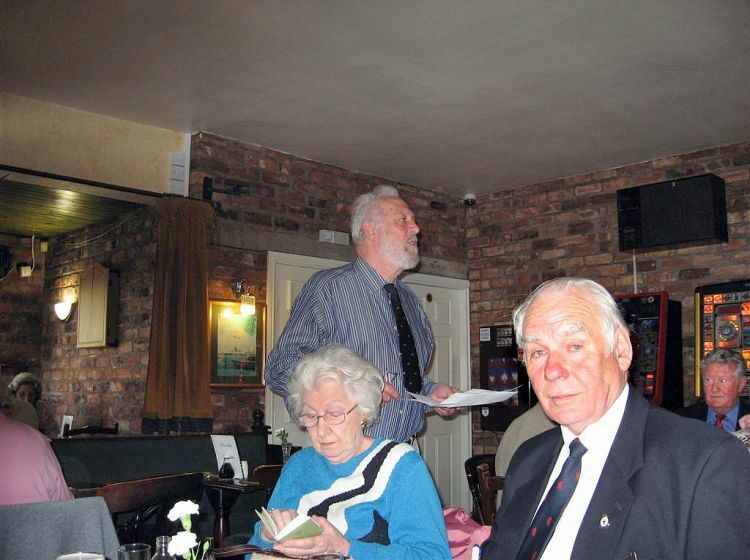 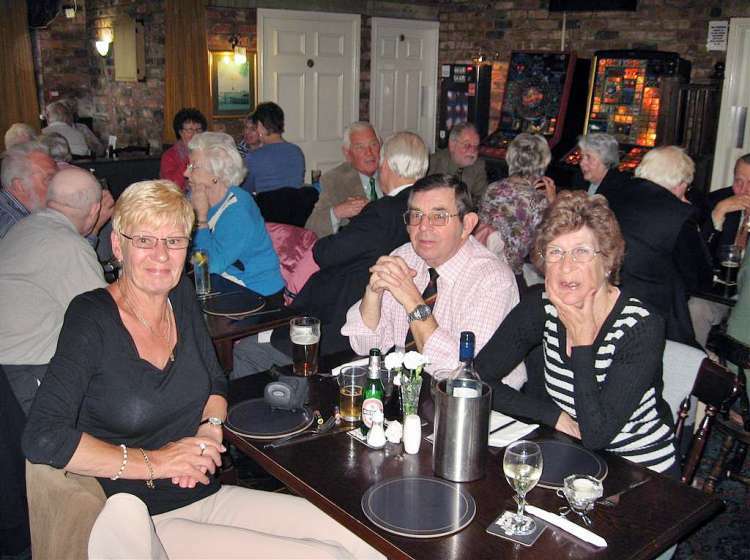 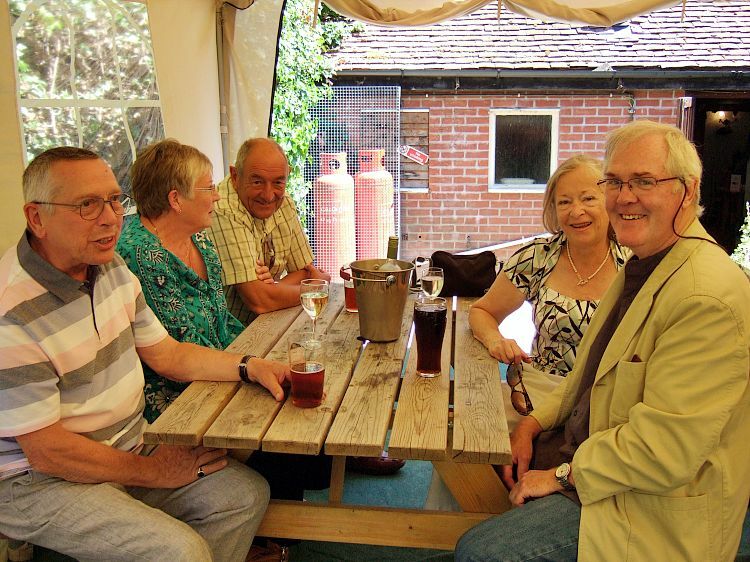 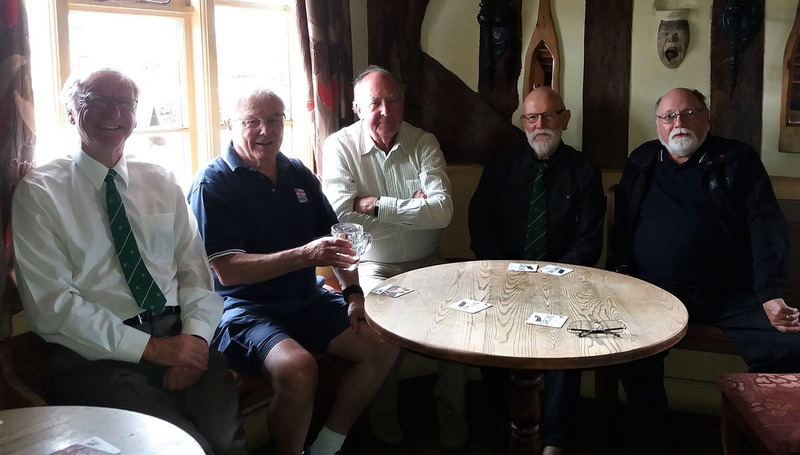 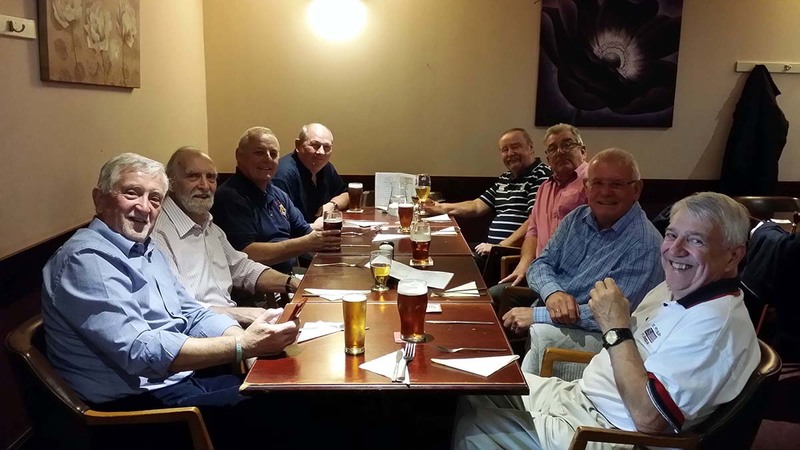 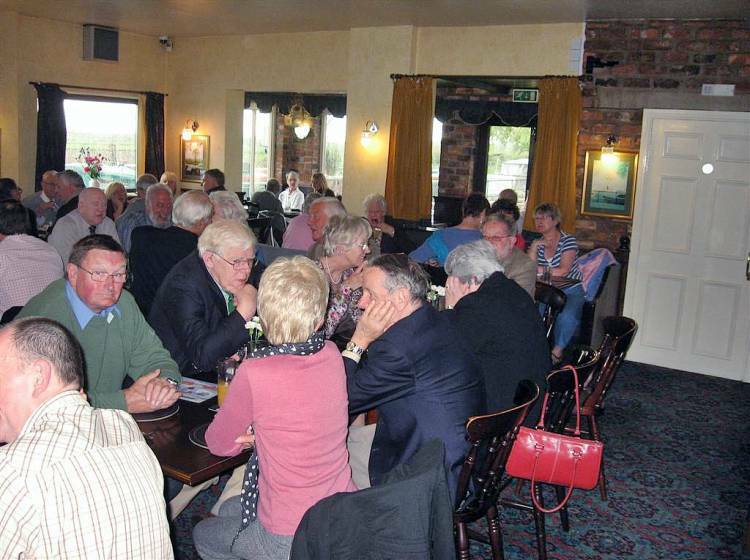 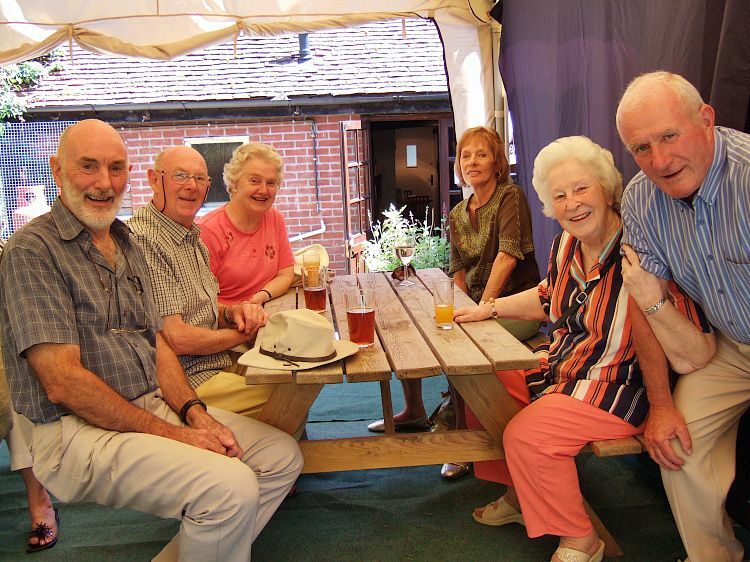 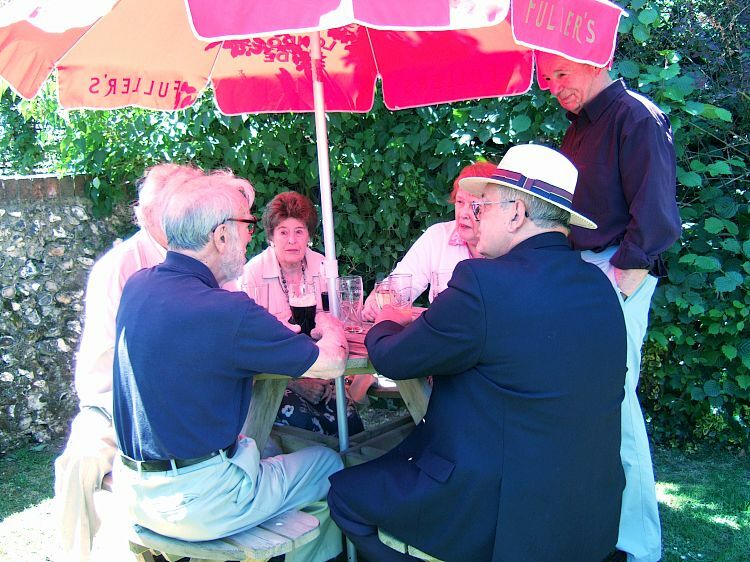 An inaugural and successful West Midlands gathering was held at Ye Old Red Horse in Evesham on the 19th September. 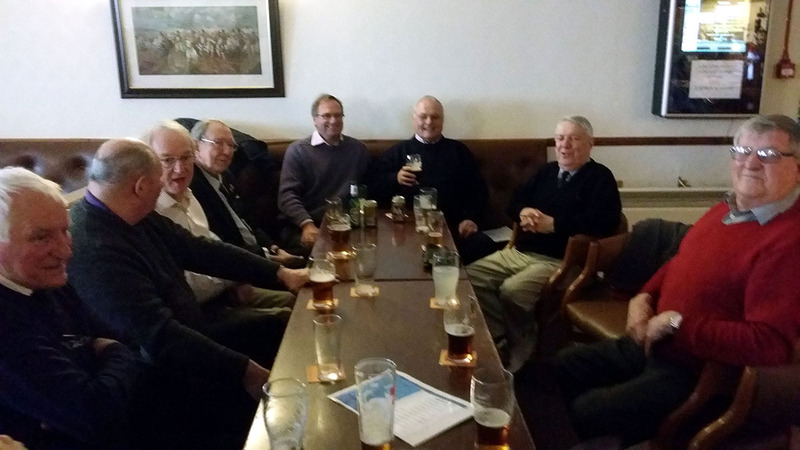 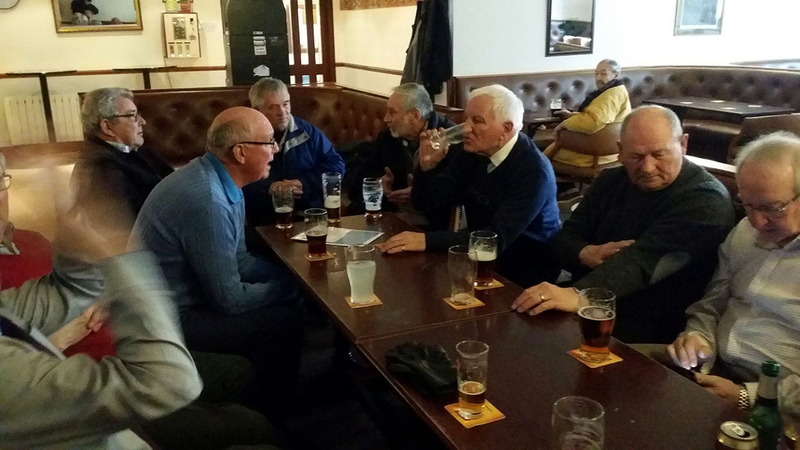 Although only five members attended plus one brave supporting lady (Francis Newton) there were a fair number of apologies from members who would be interested to attend in the future. 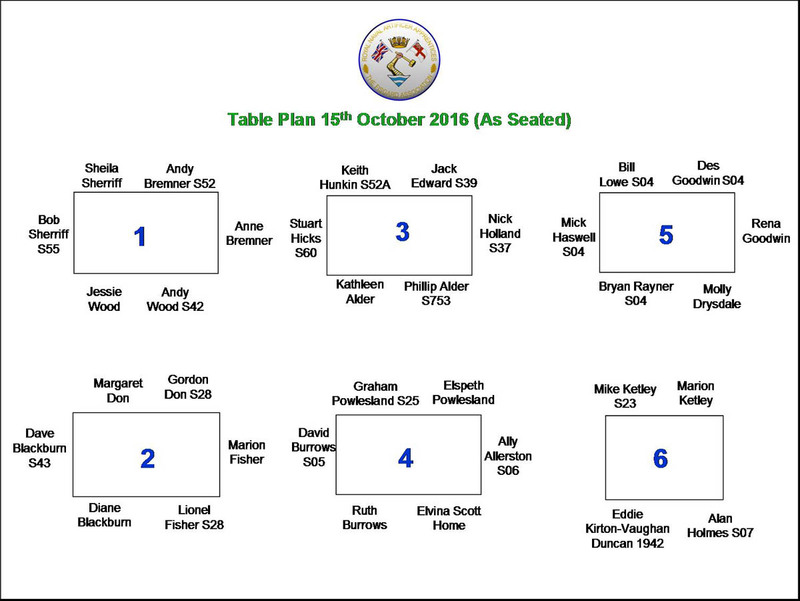 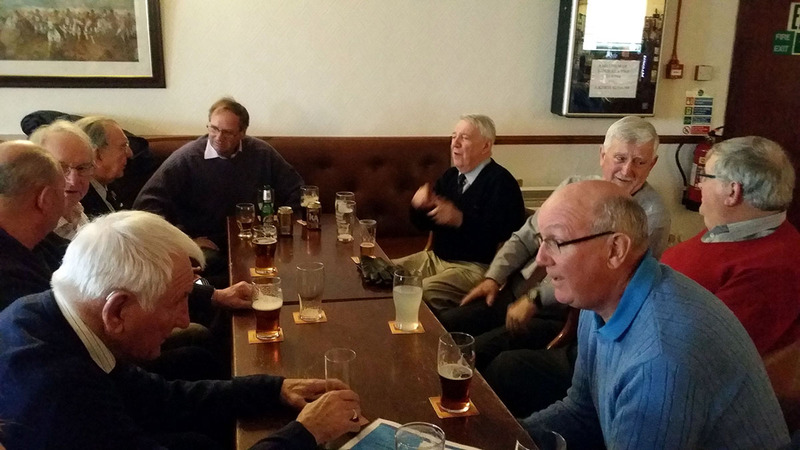 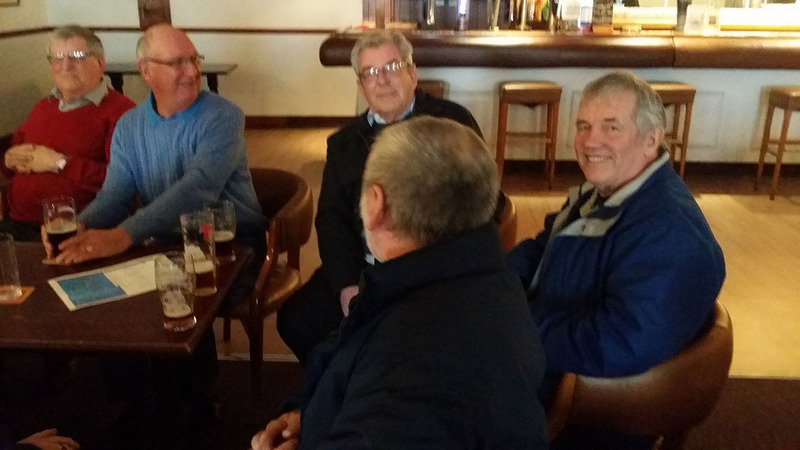 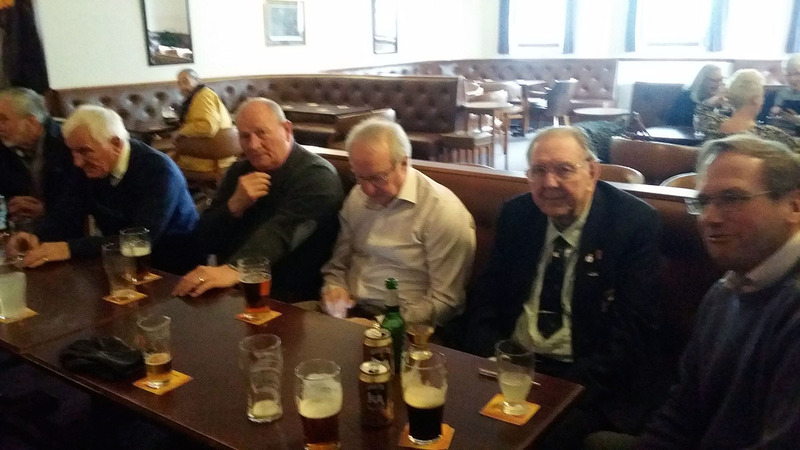 Attendees were Mike Newton S21, John Fleck S21, Gordon Duffy S33, Brian Layt S14 and Terry White S49. 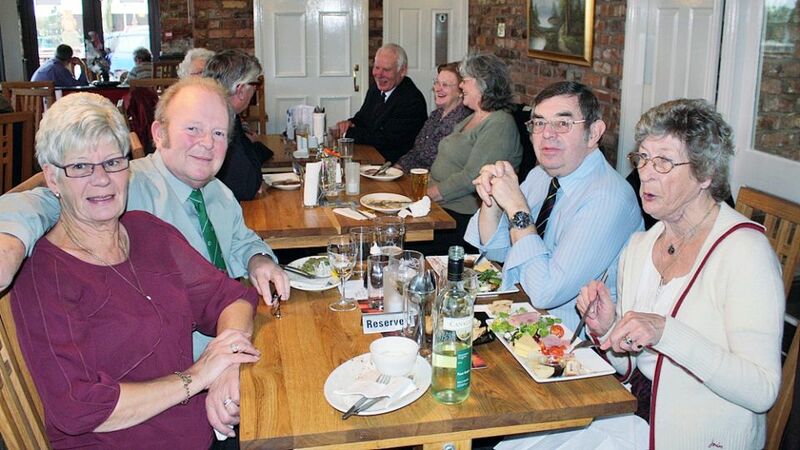 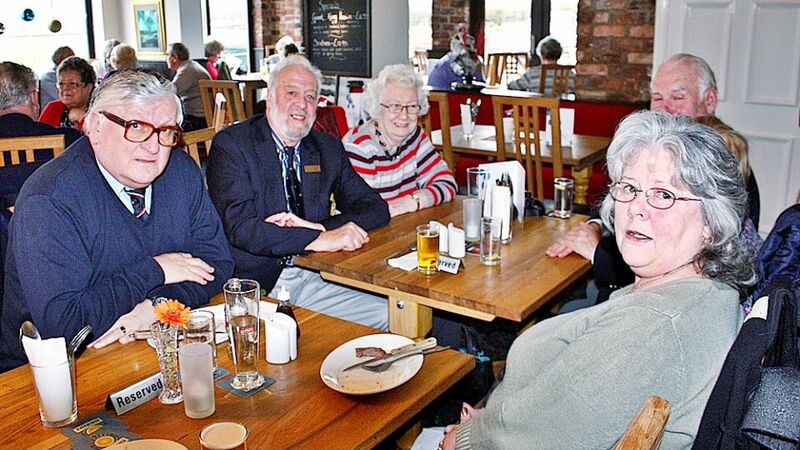 The intention is to hold another lunch during the first two weeks in January probably in Pershore. 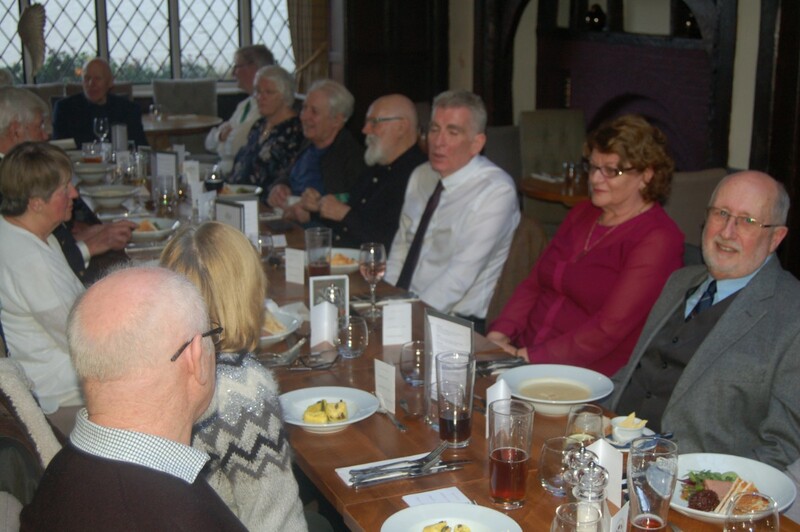 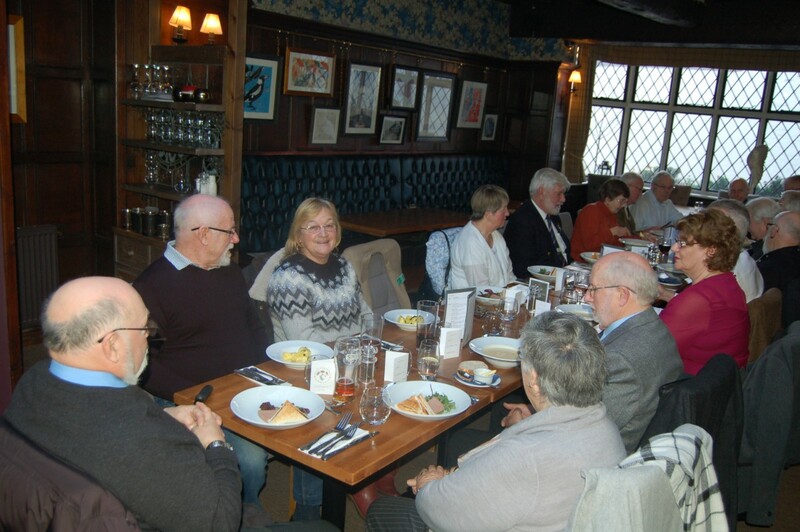 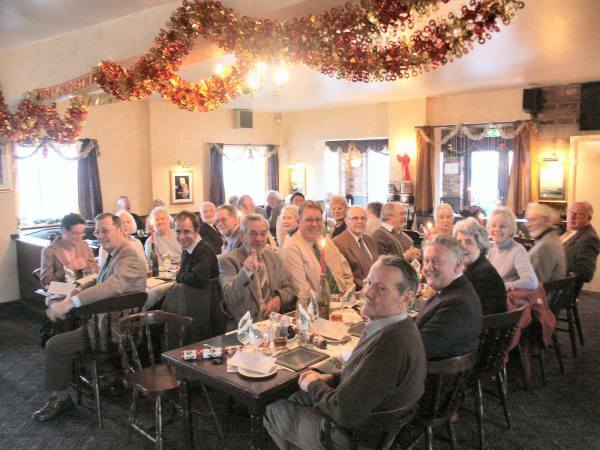 New Year Lunch at the Angel Hotel, Pershore, Worcestershire. 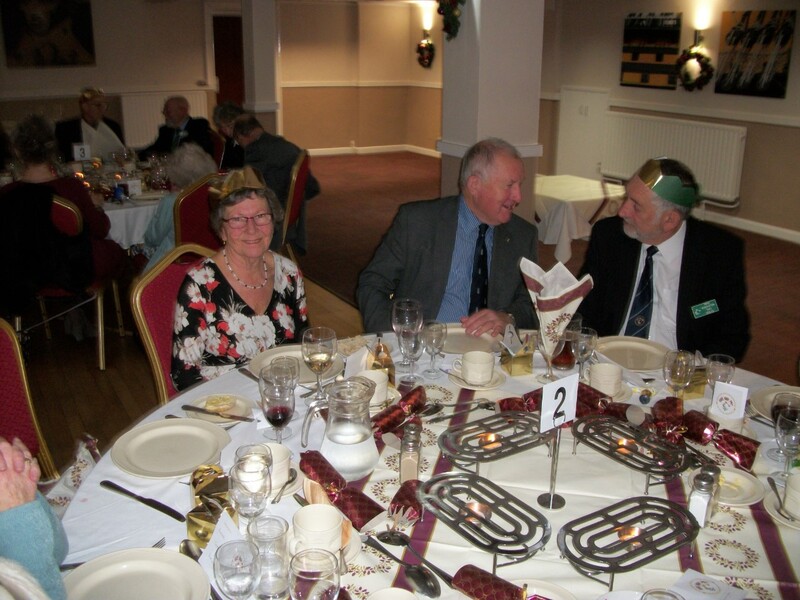 Photos supplied by Bill Lowe, Roger Newman, Mike Ottewell & Colin Menzies. 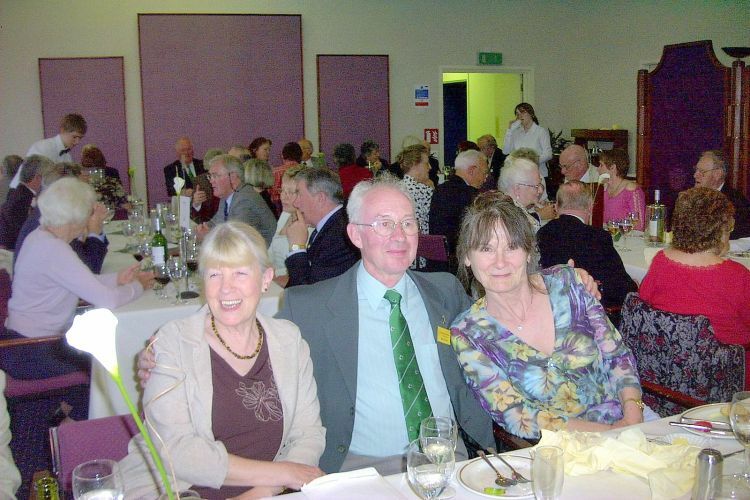 Photos supplied by Don Murdoch, John Stupples, Norman Bland & Malcolm Howard. 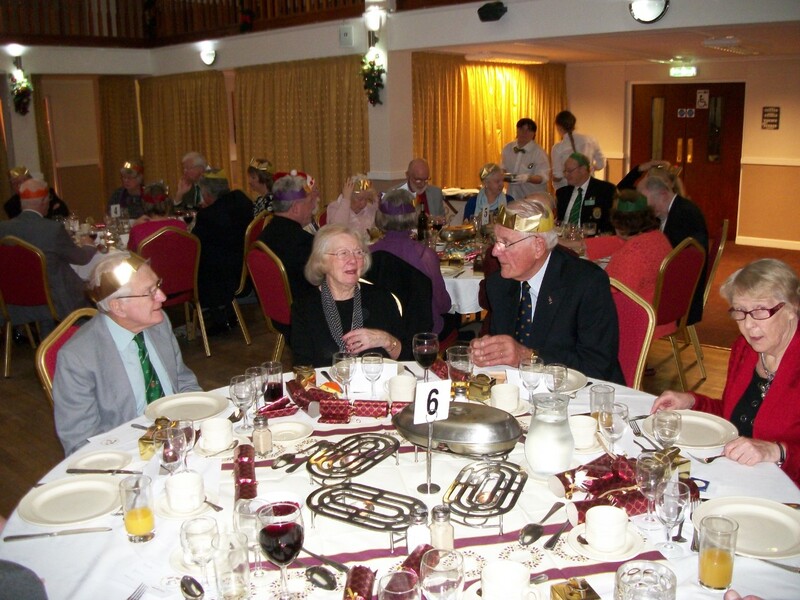 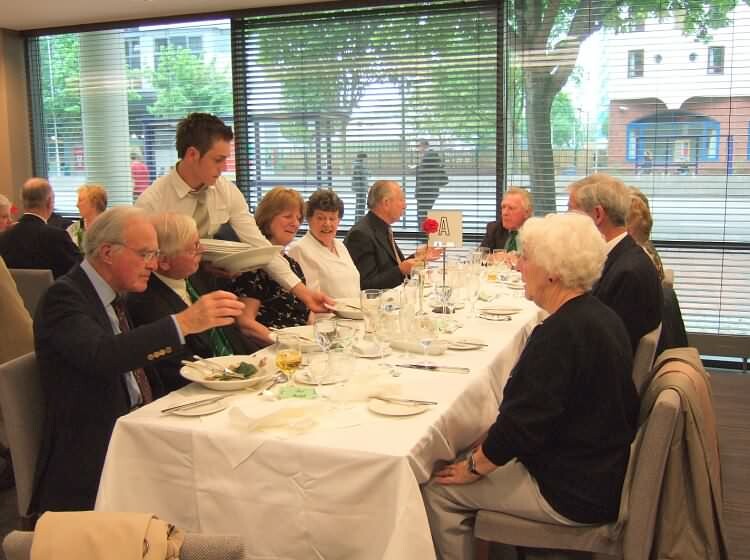 Members & Guests Christmas Lunch at the Royal Maritime Club, Portsmouth. 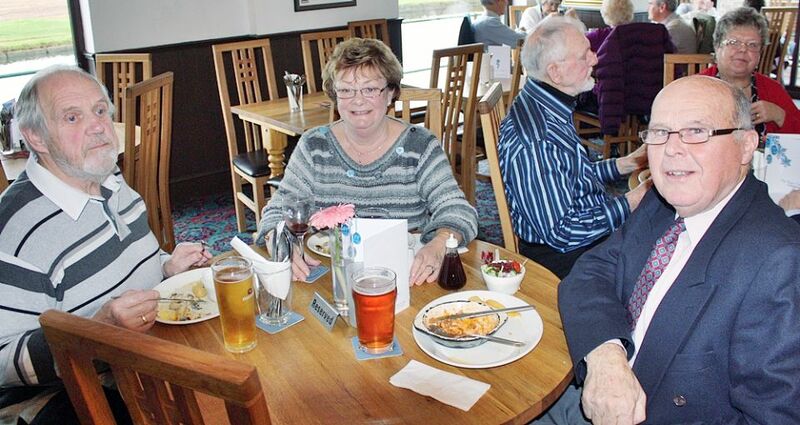 Pie & a Pint Lunch at The Cart & Horses, Kingsworthy. 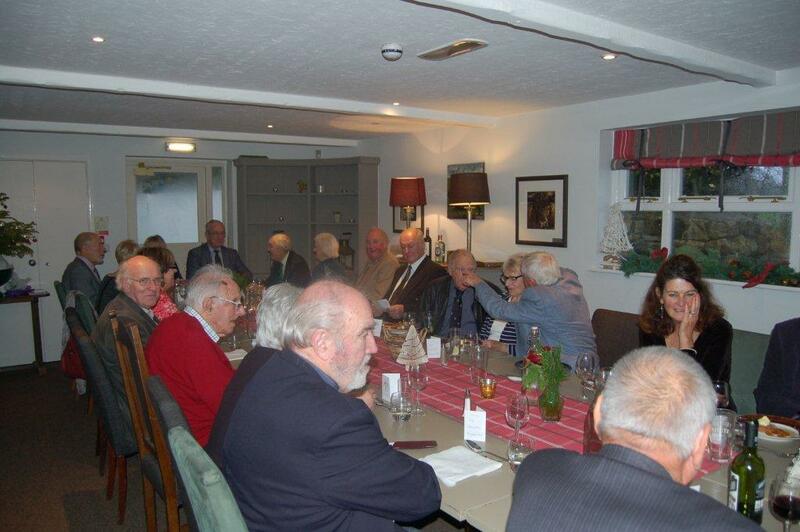 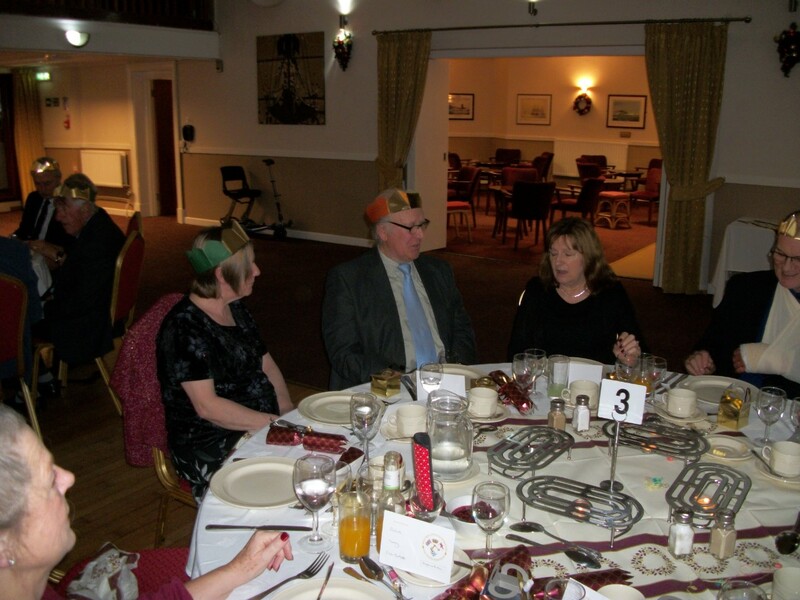 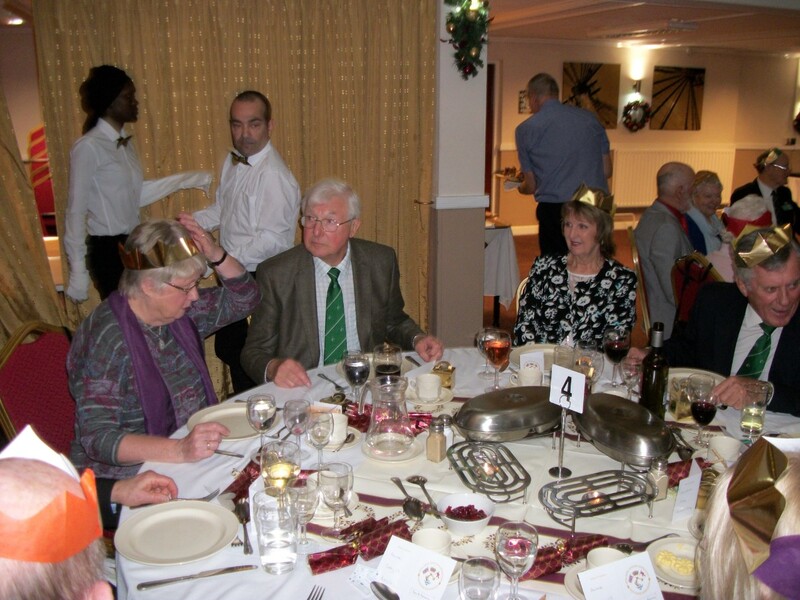 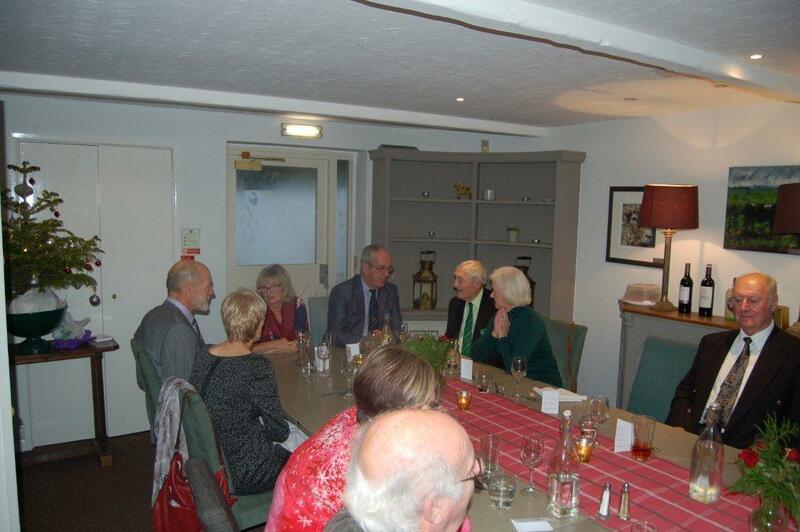 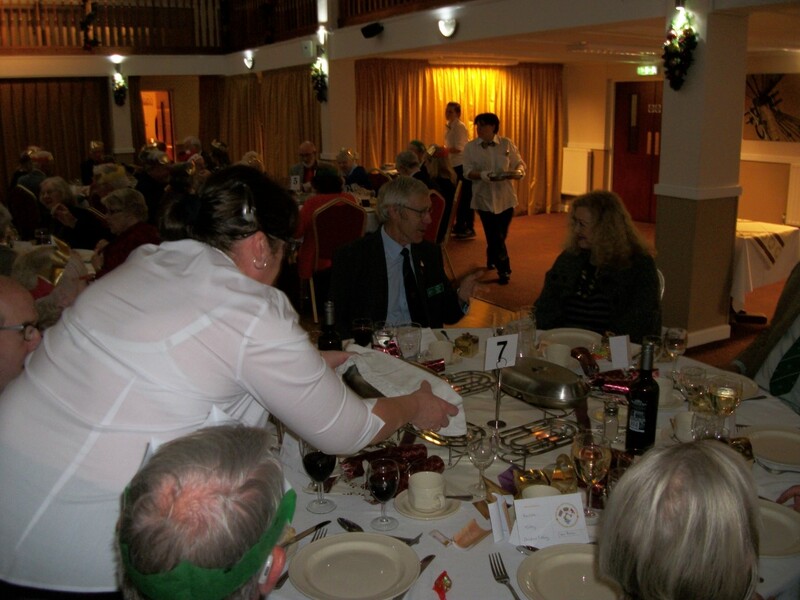 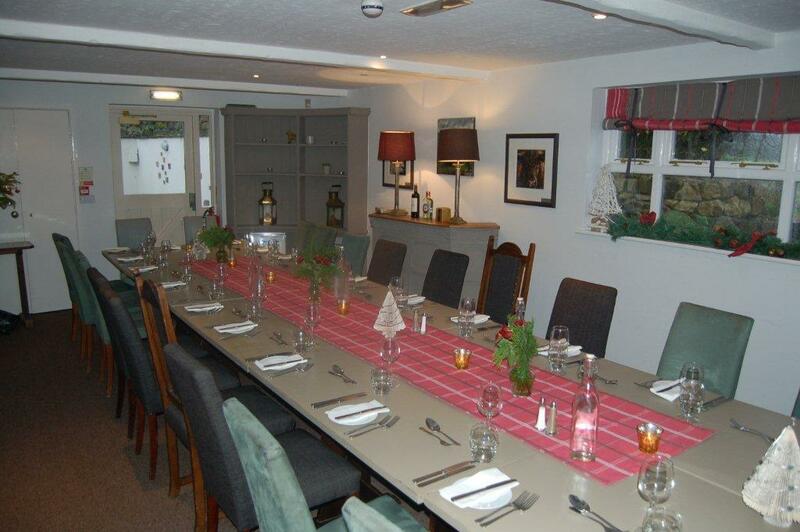 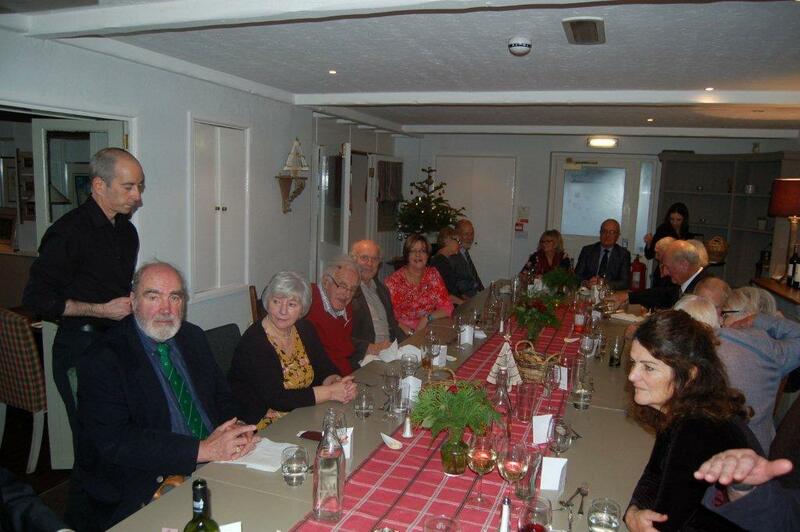 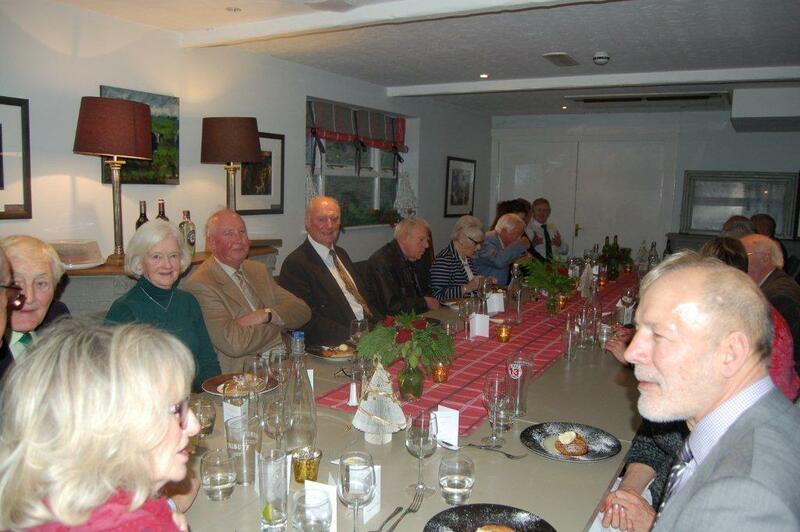 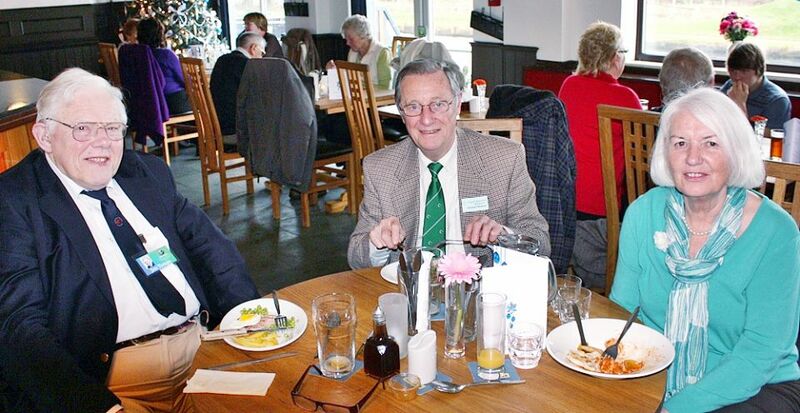 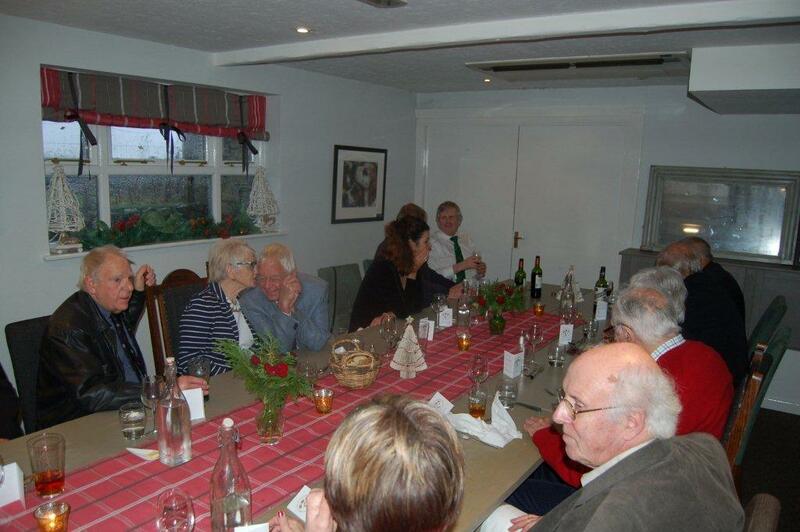 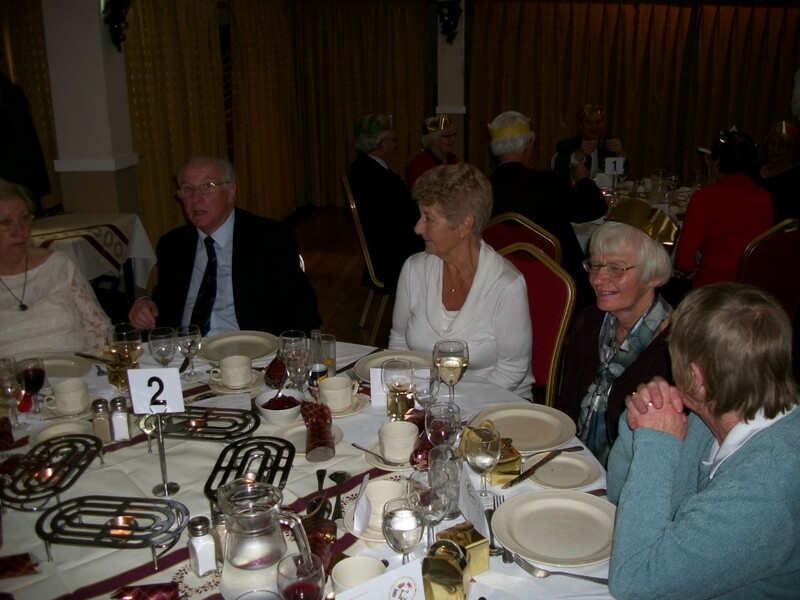 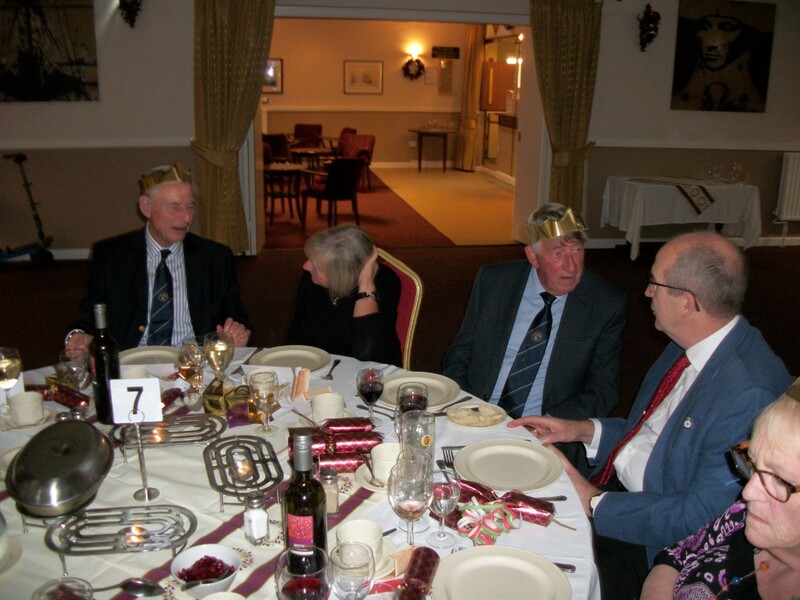 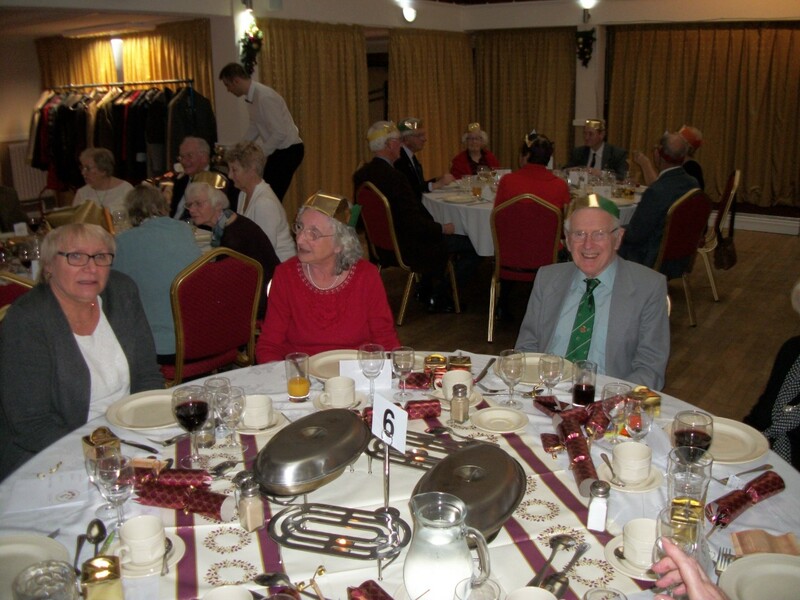 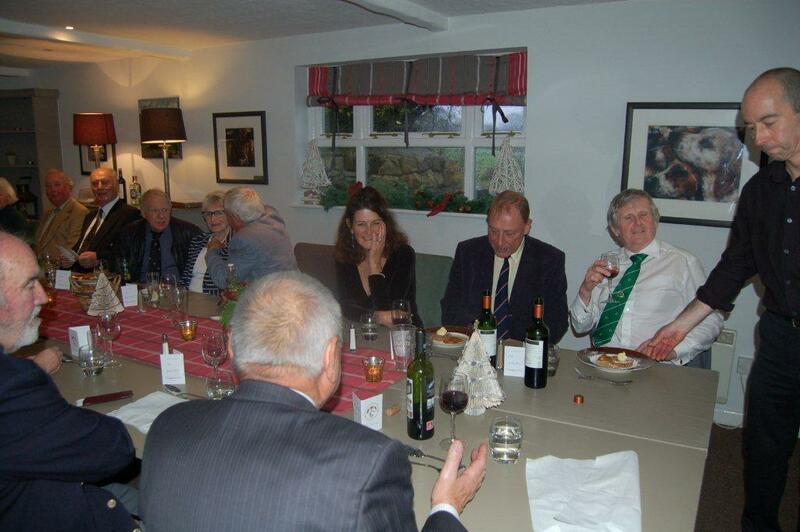 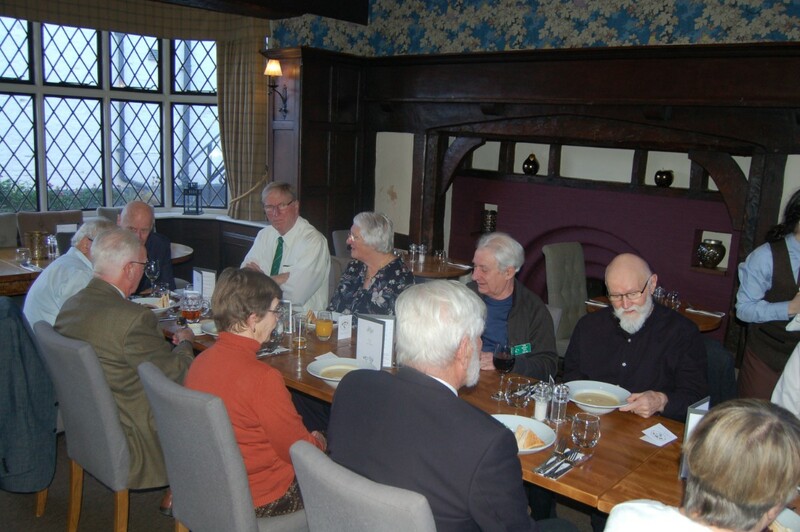 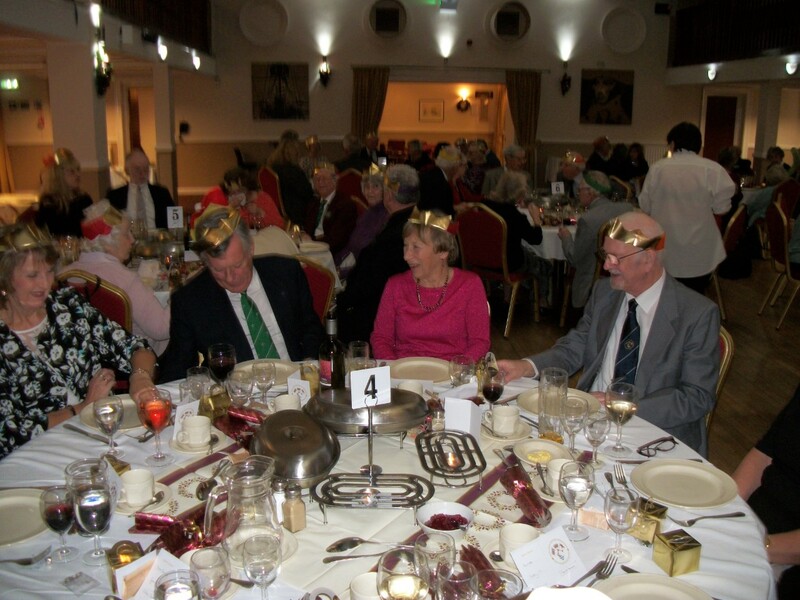 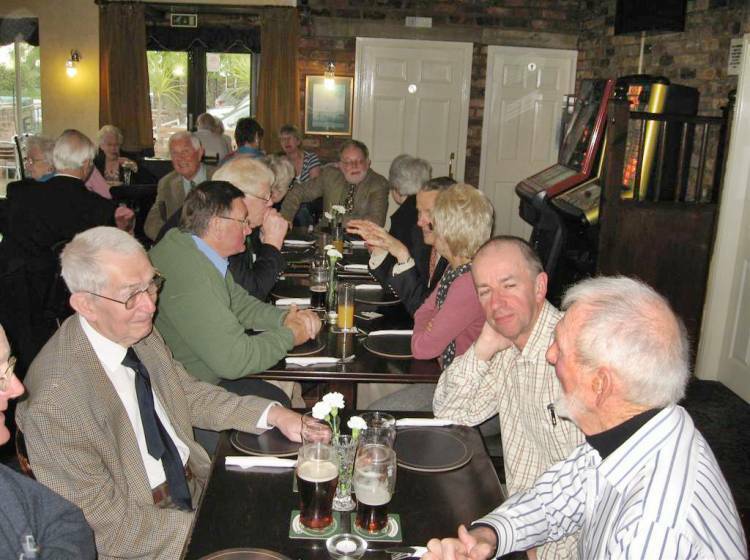 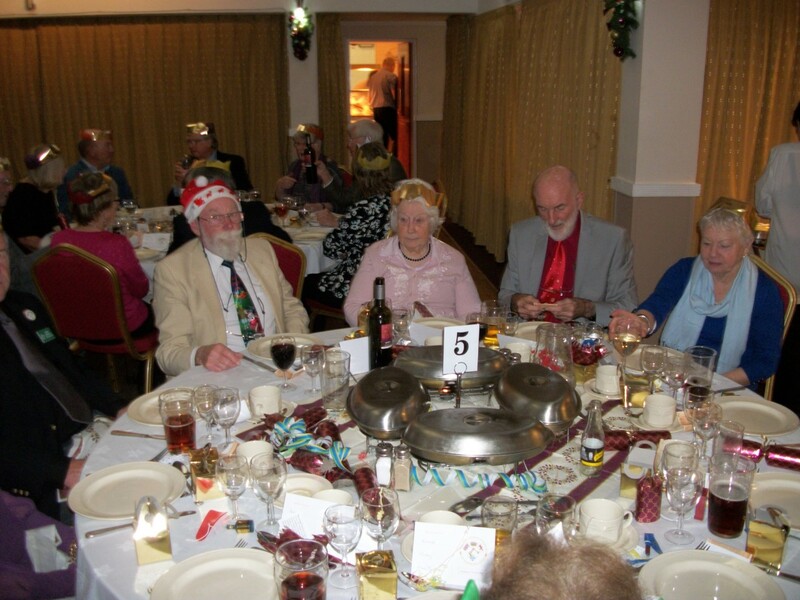 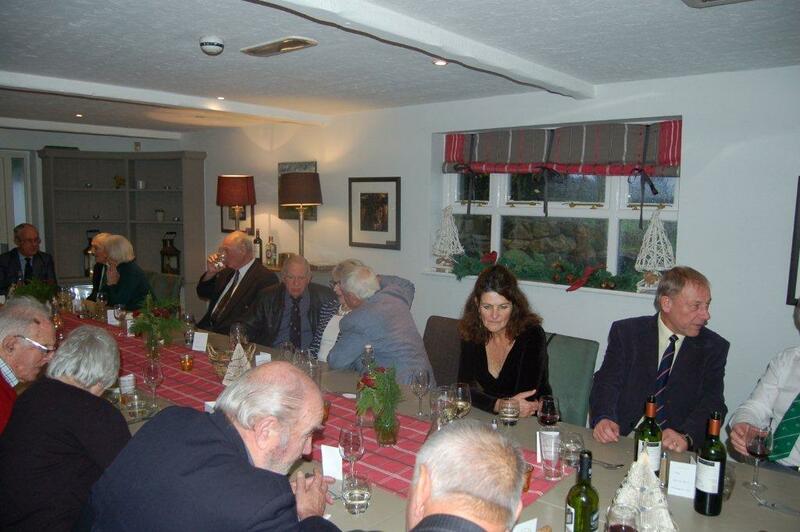 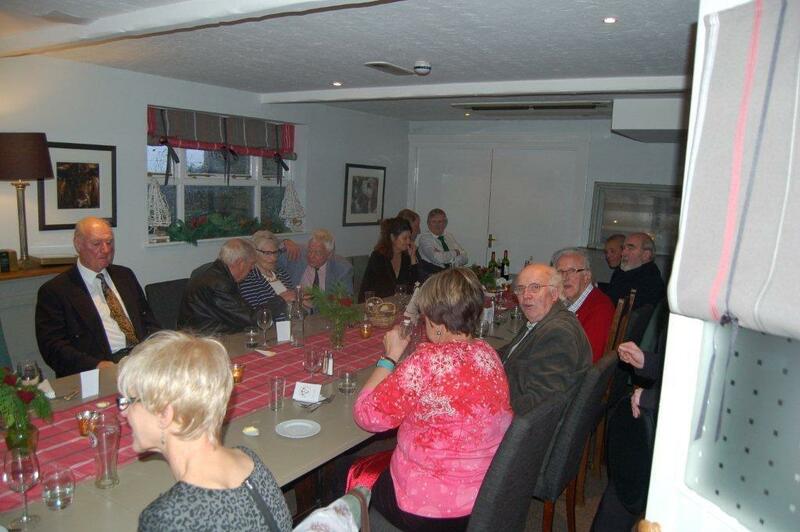 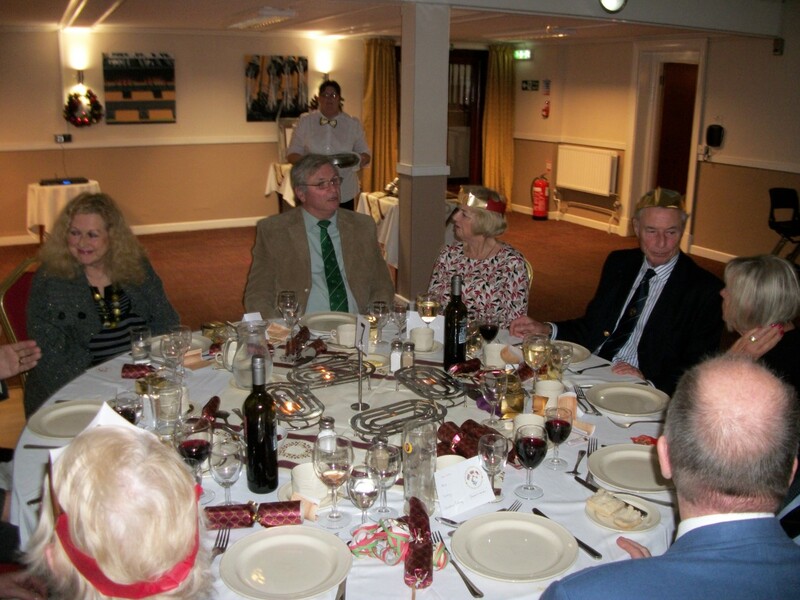 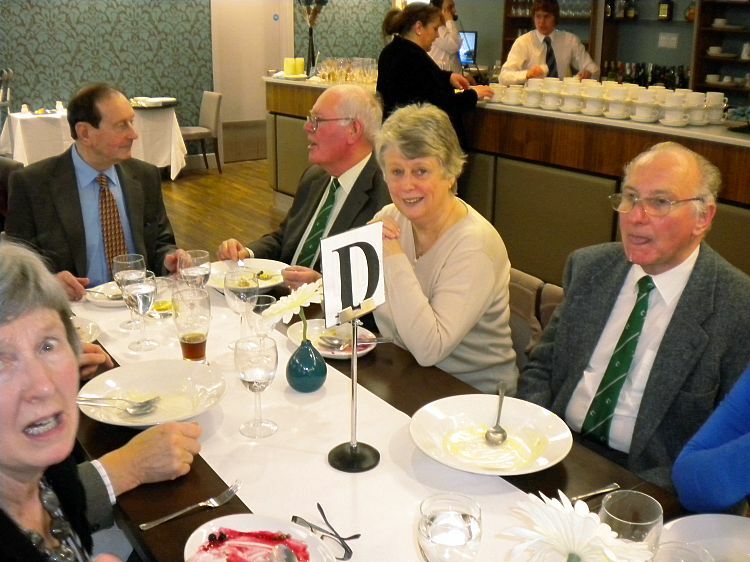 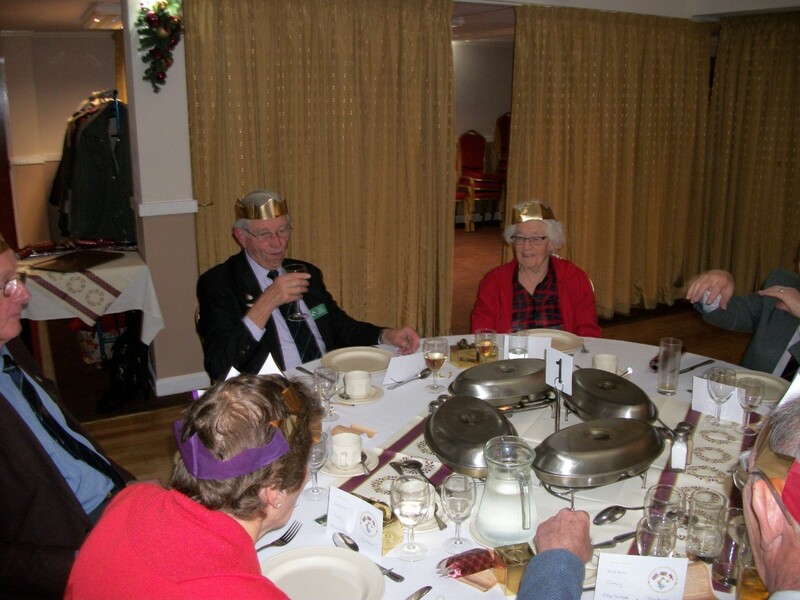 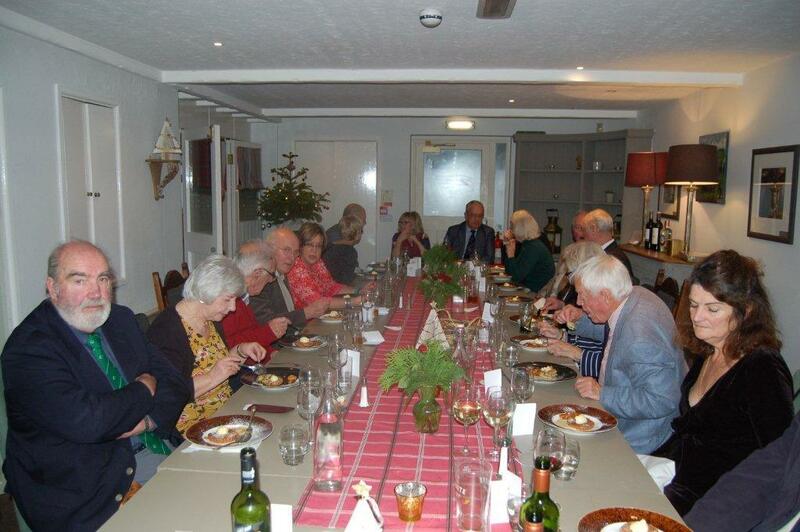 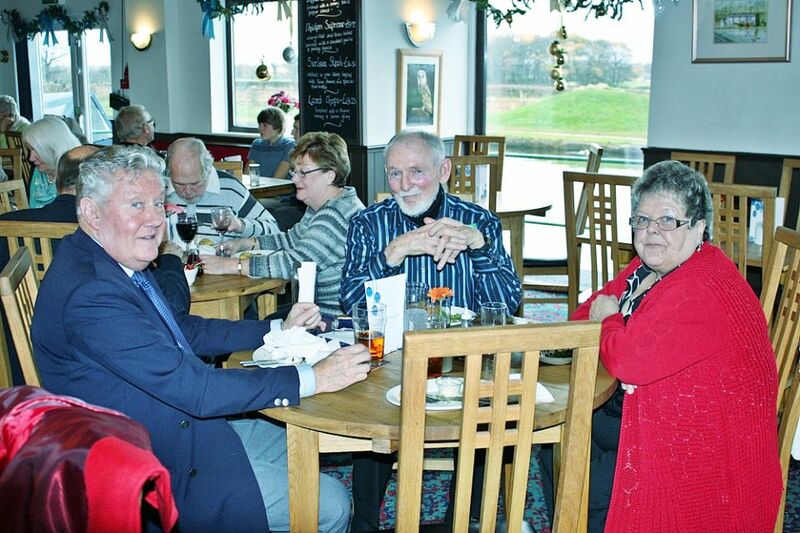 Members & Guests Christmas Lunch at the Dartmoor Inn, Lydford.